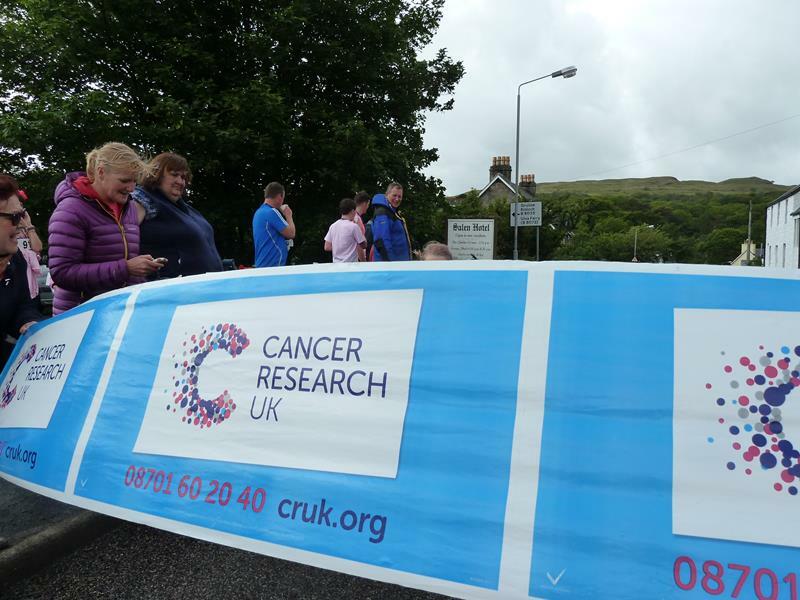 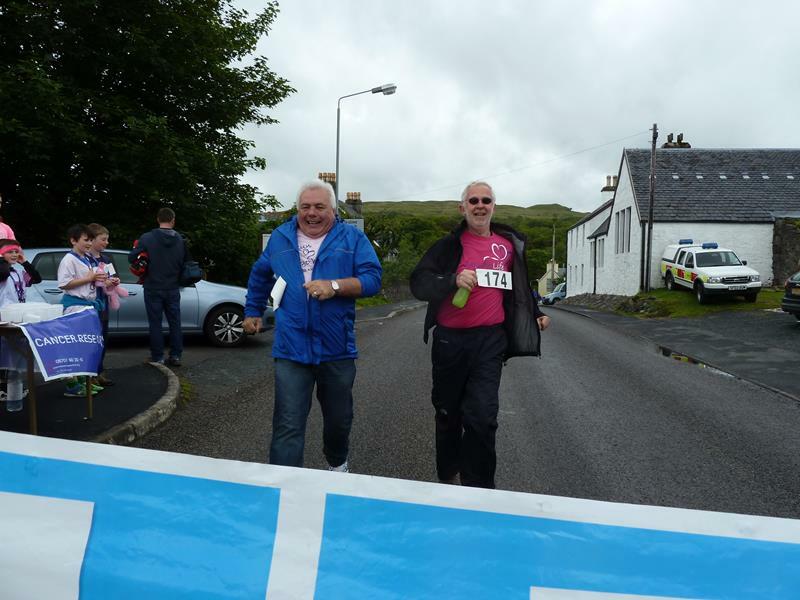 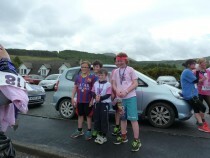 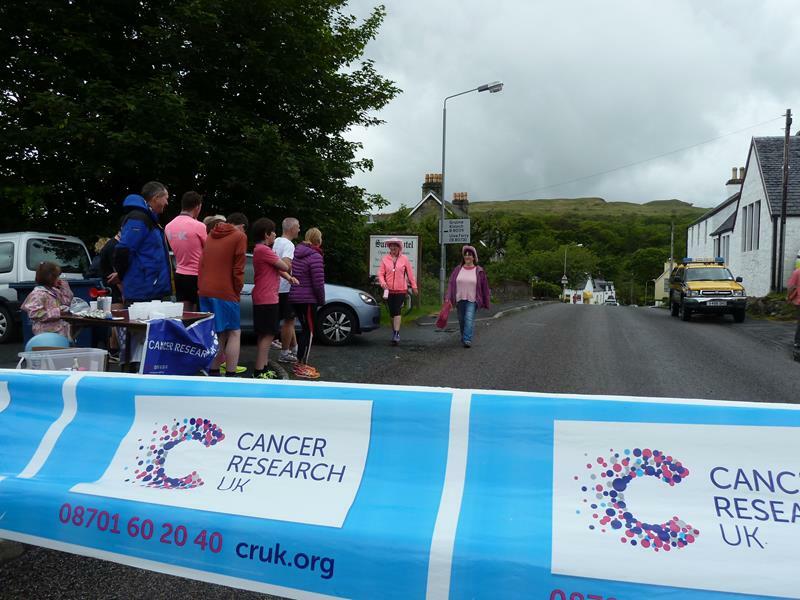 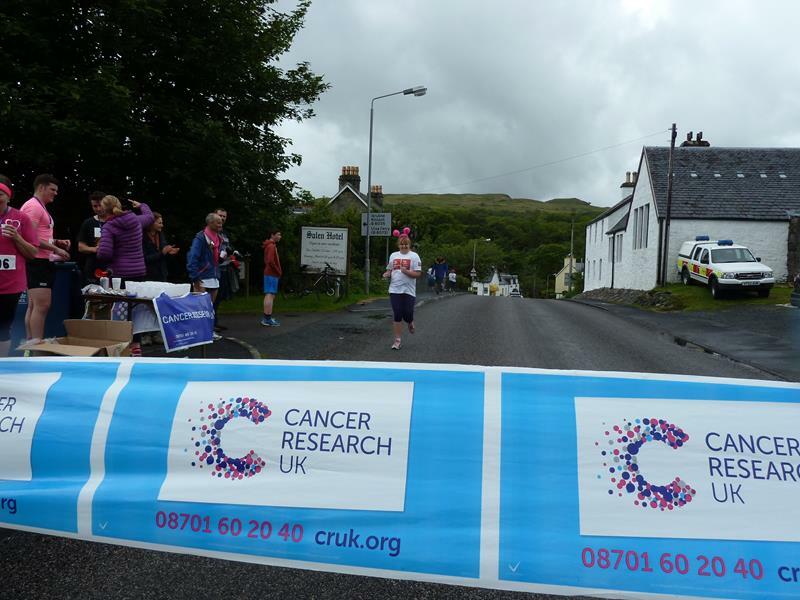 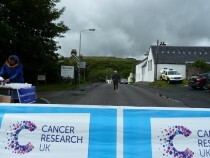 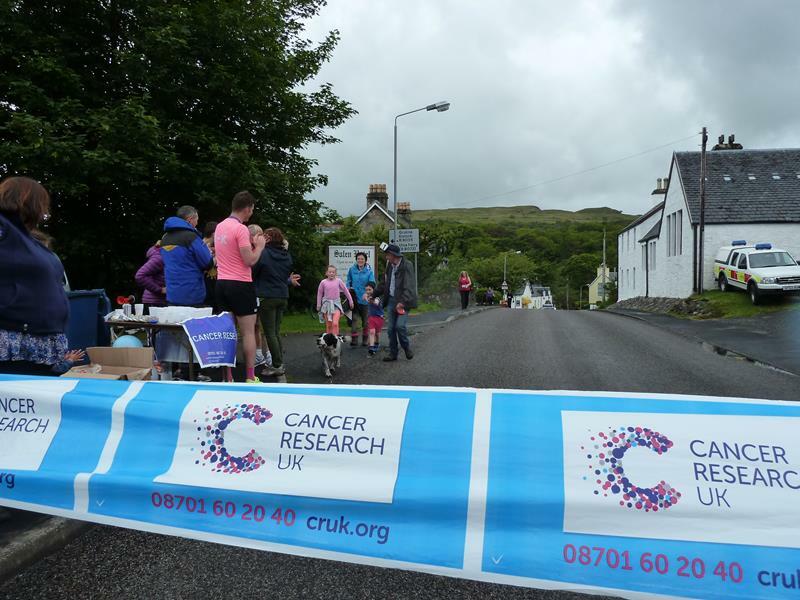 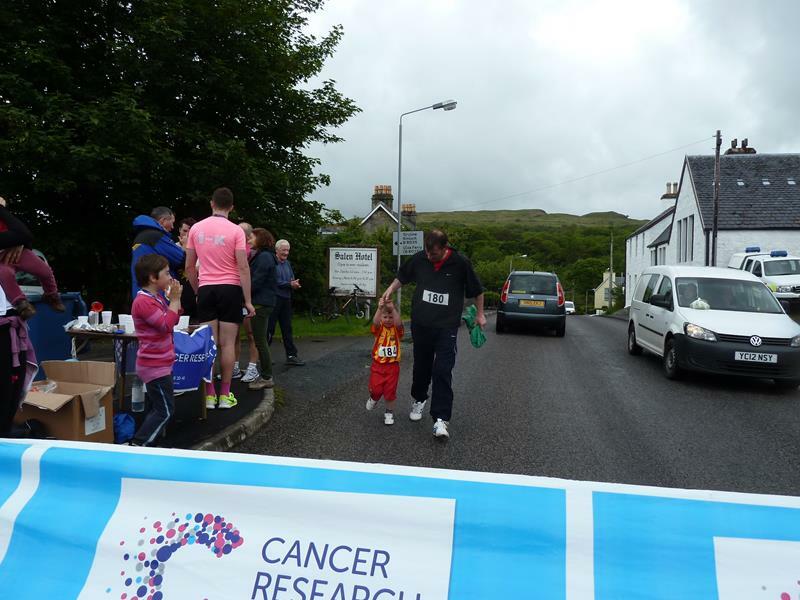 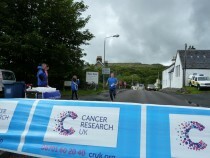 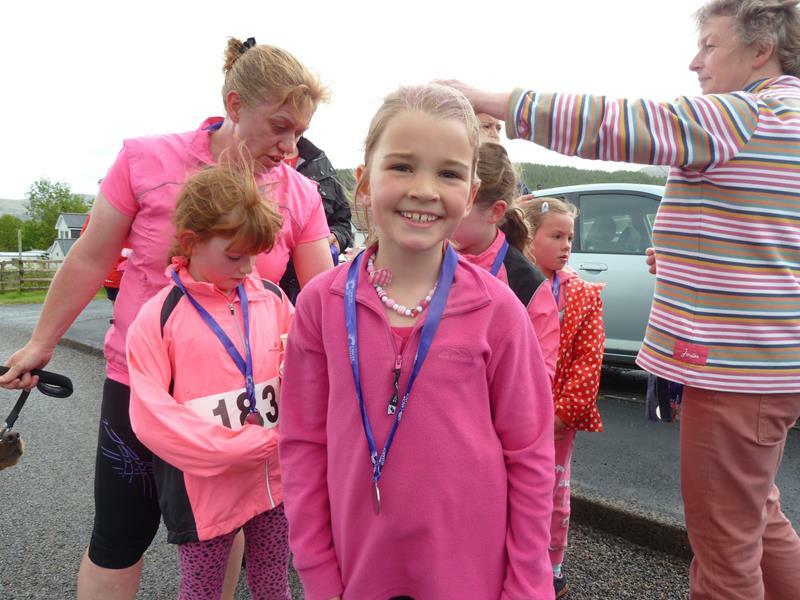 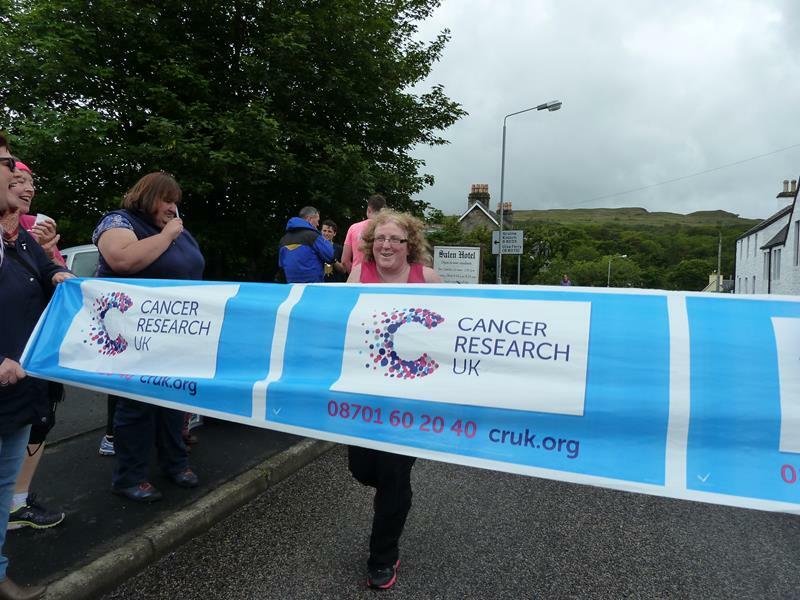 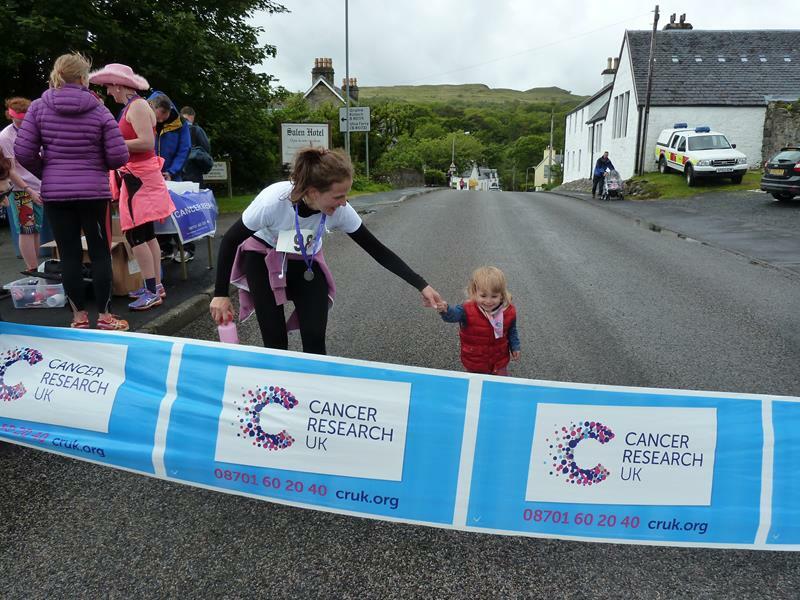 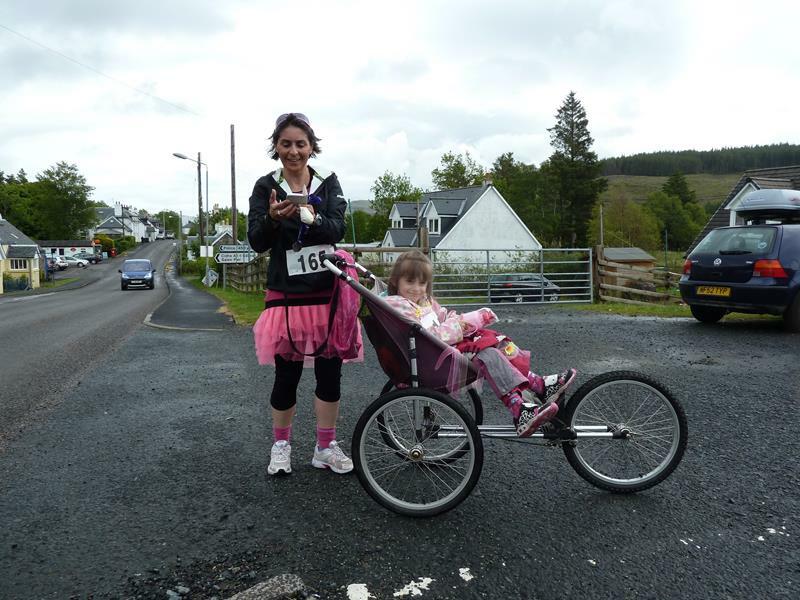 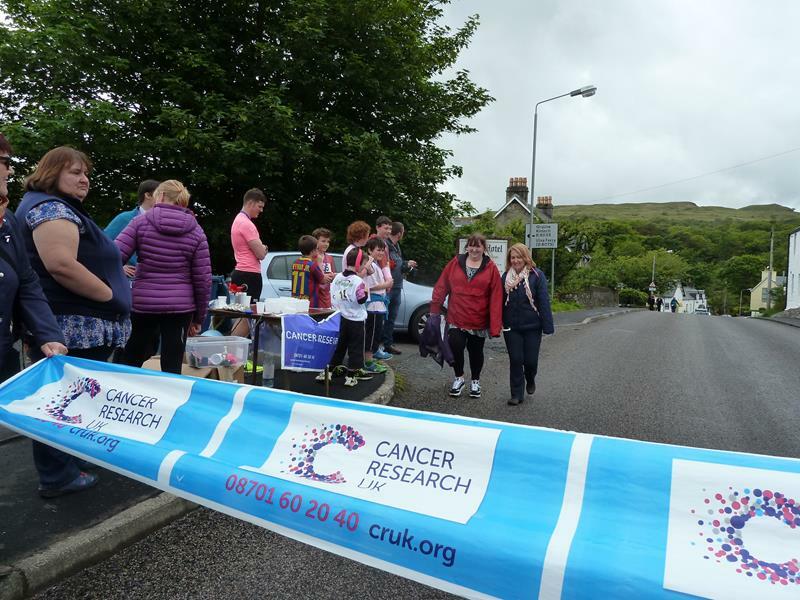 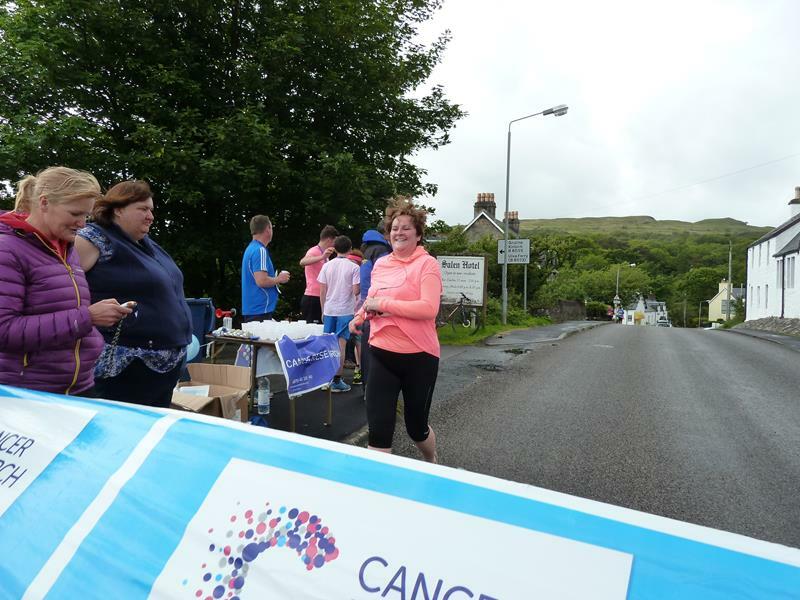 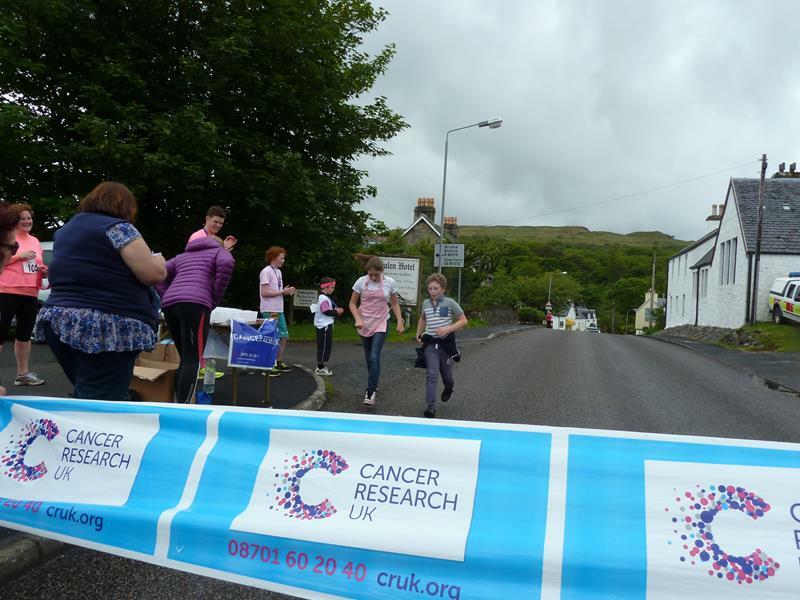 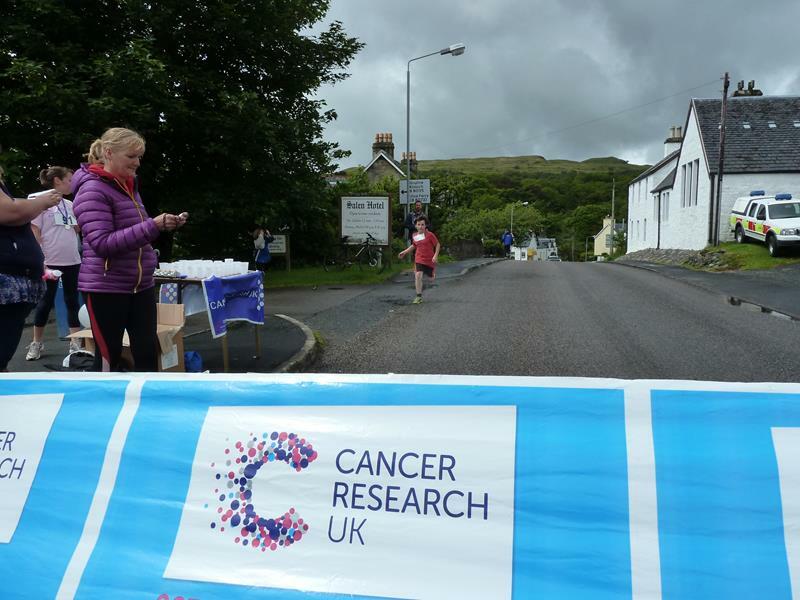 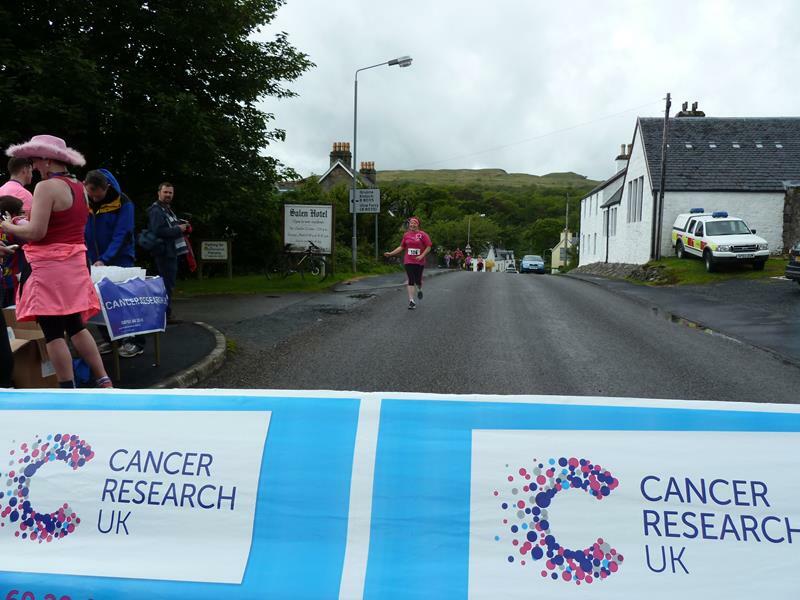 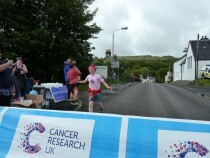 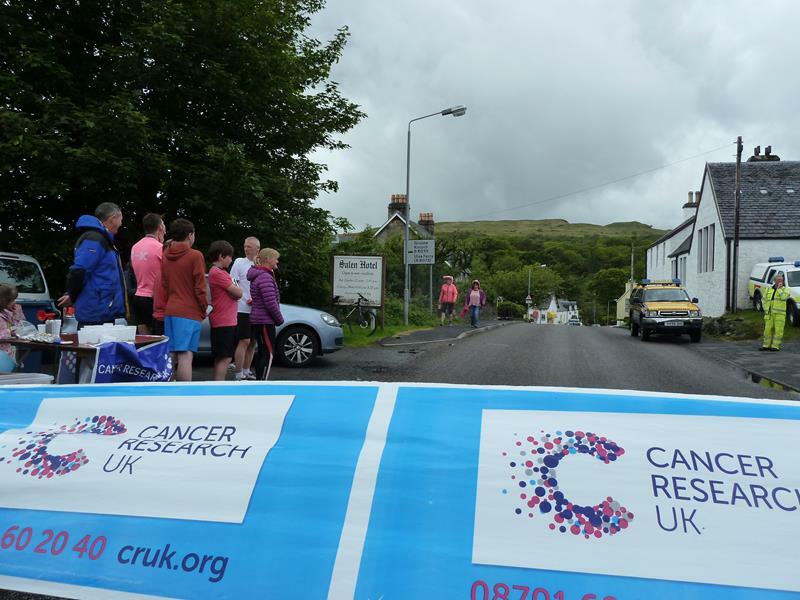 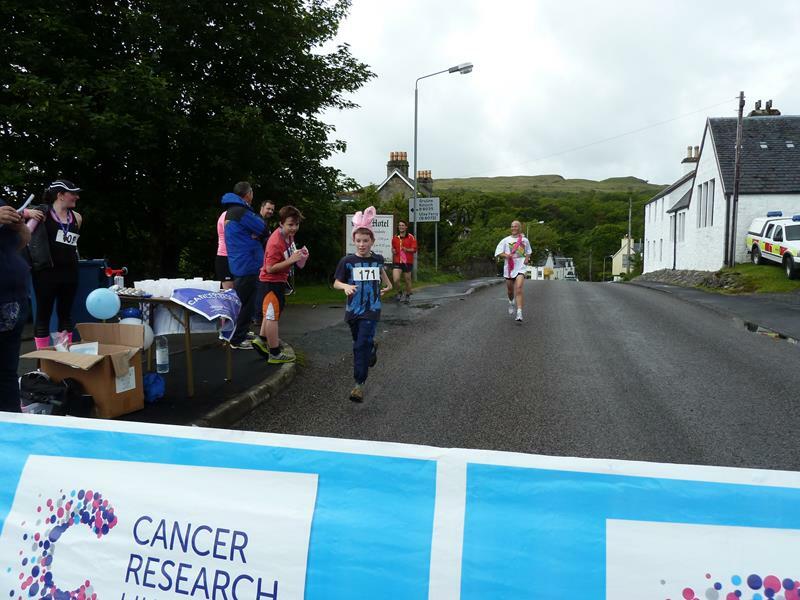 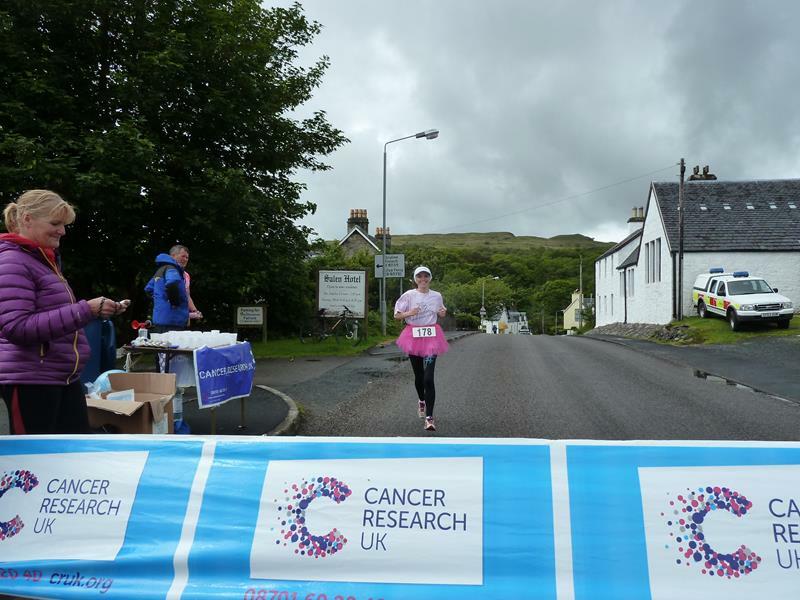 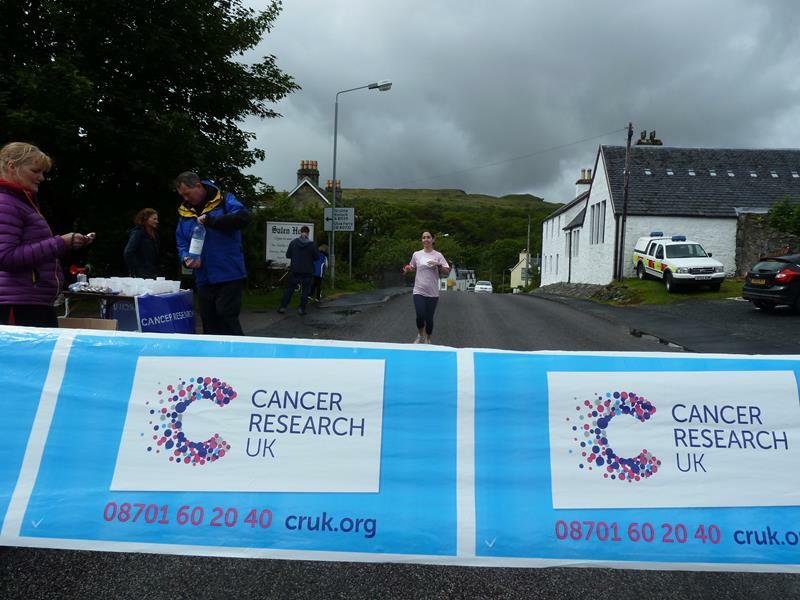 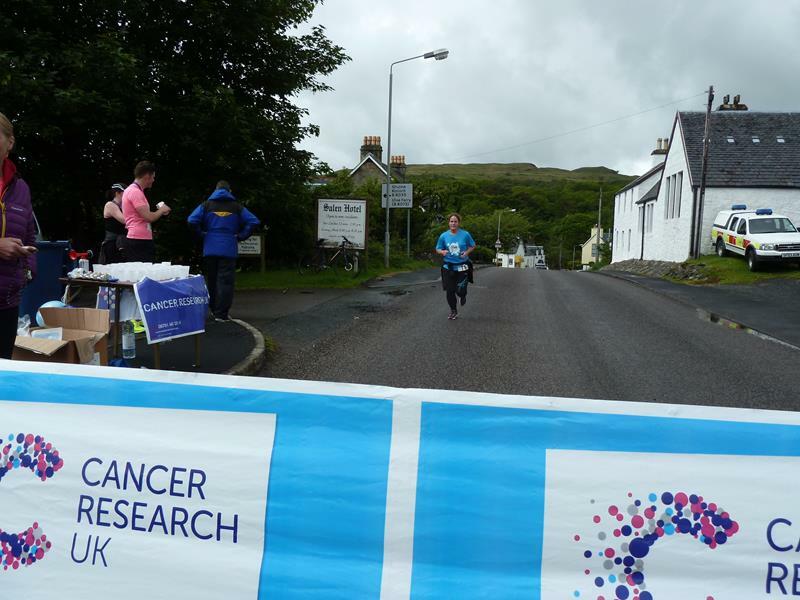 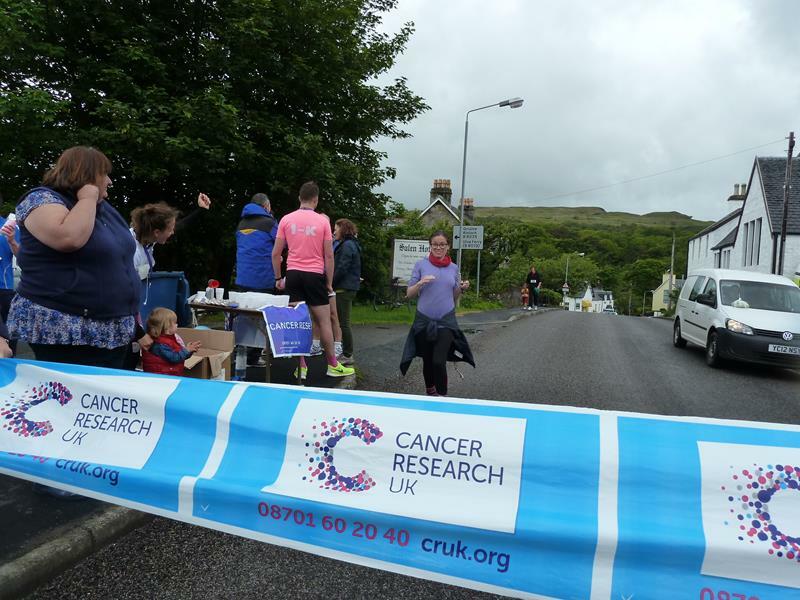 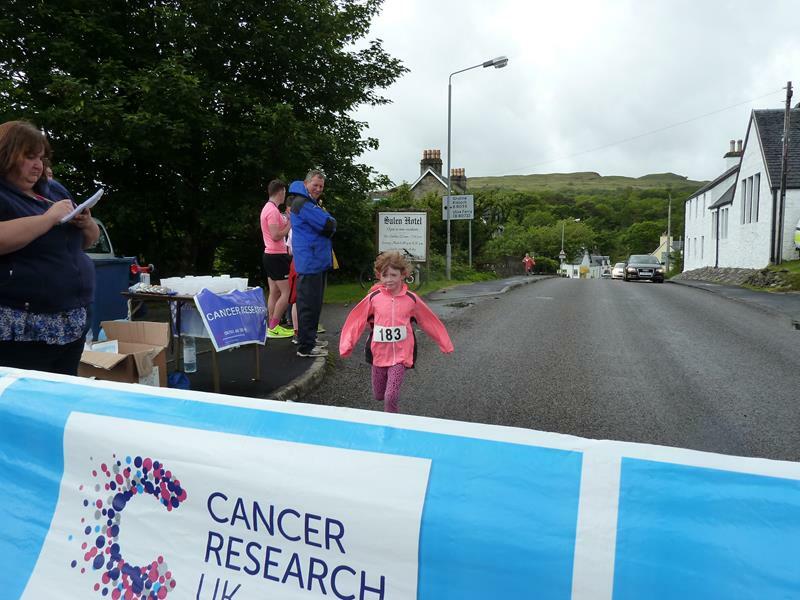 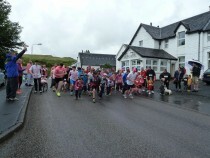 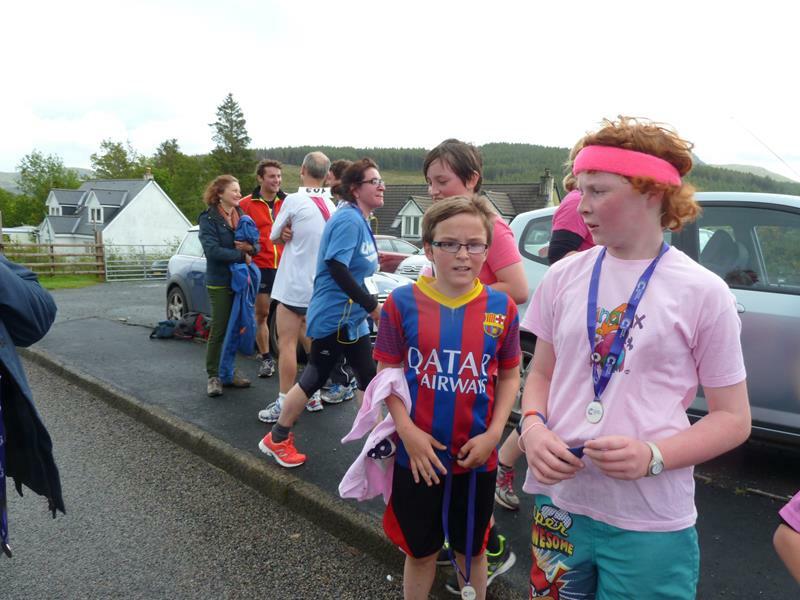 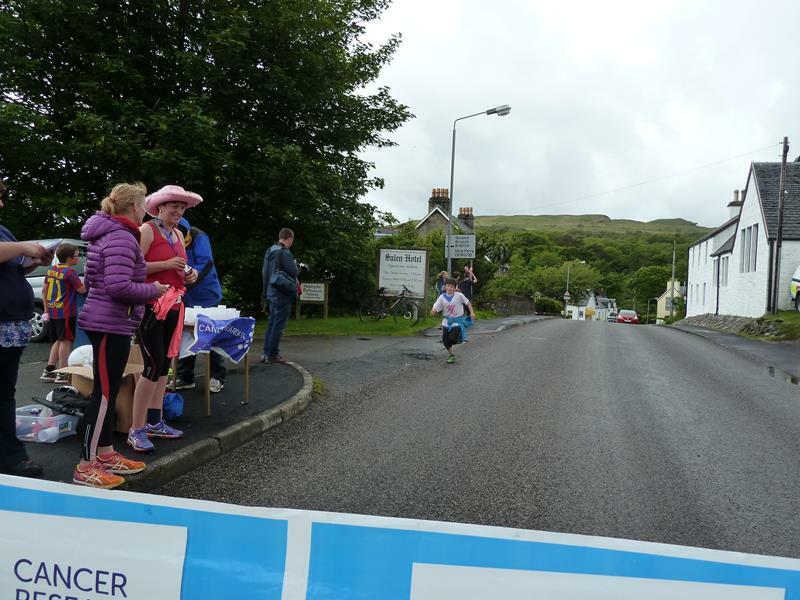 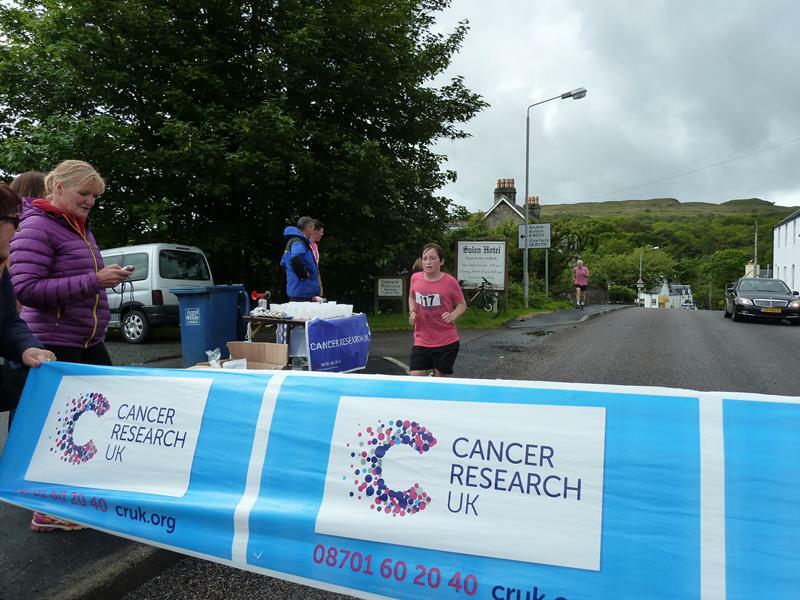 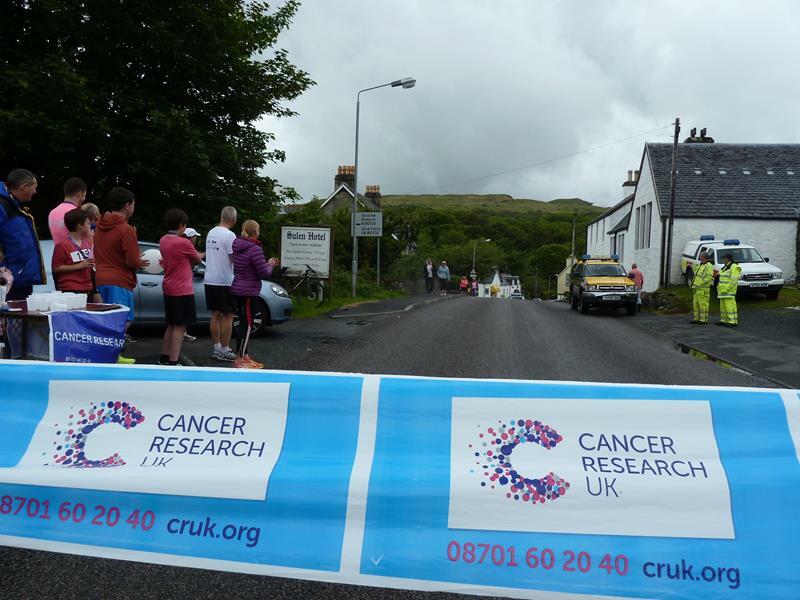 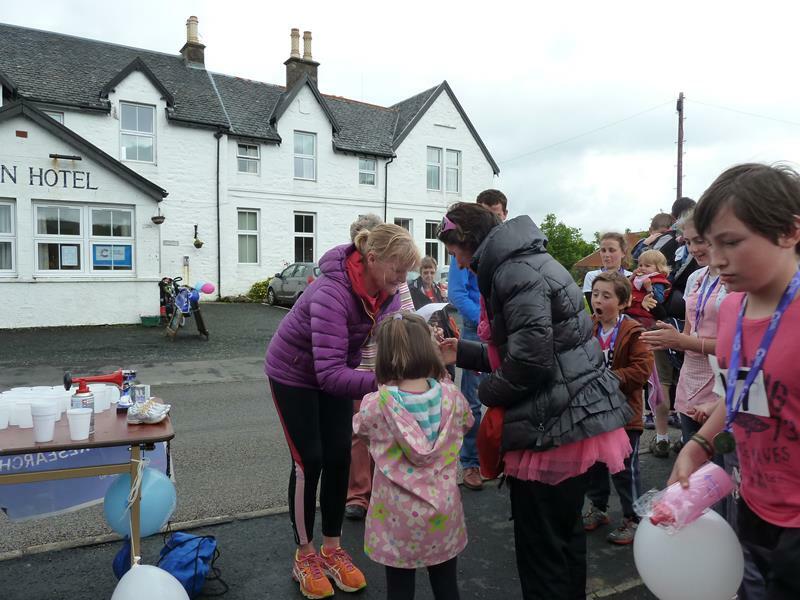 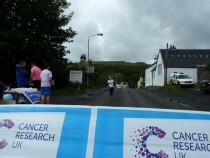 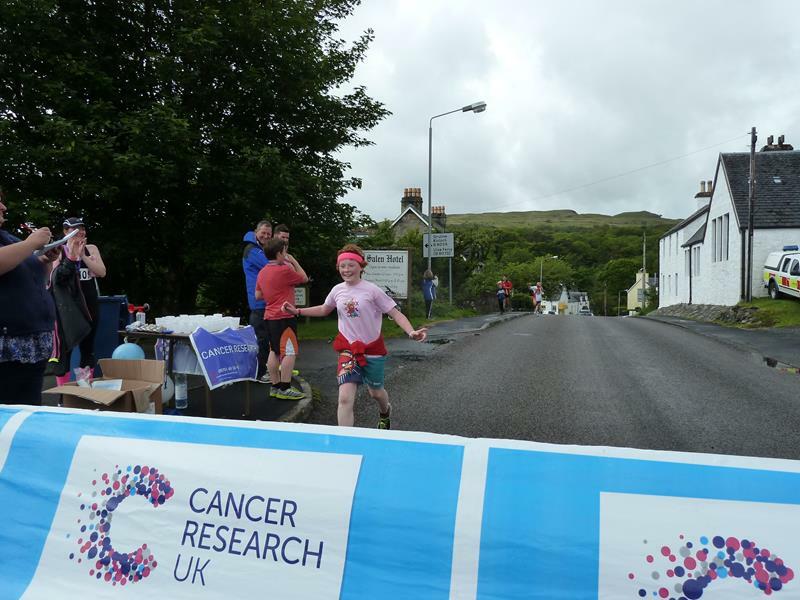 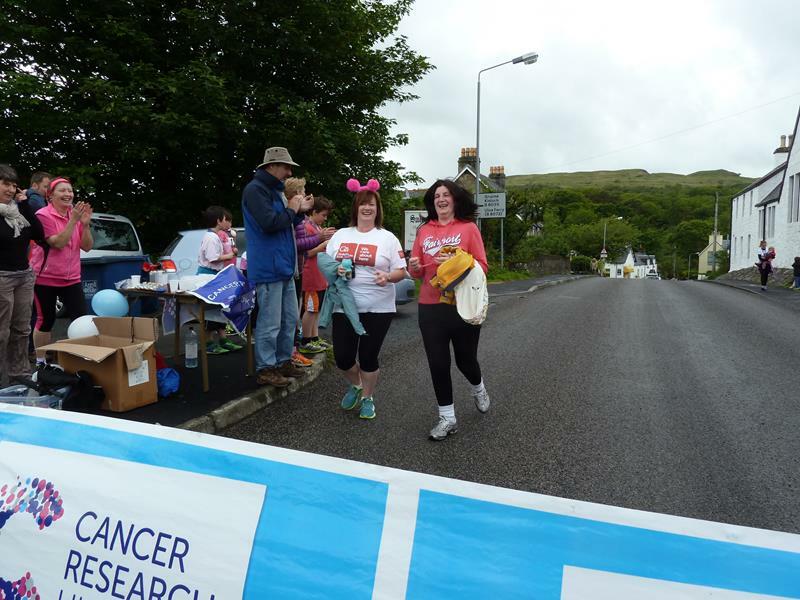 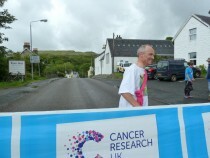 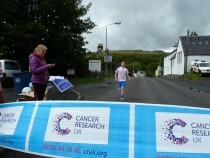 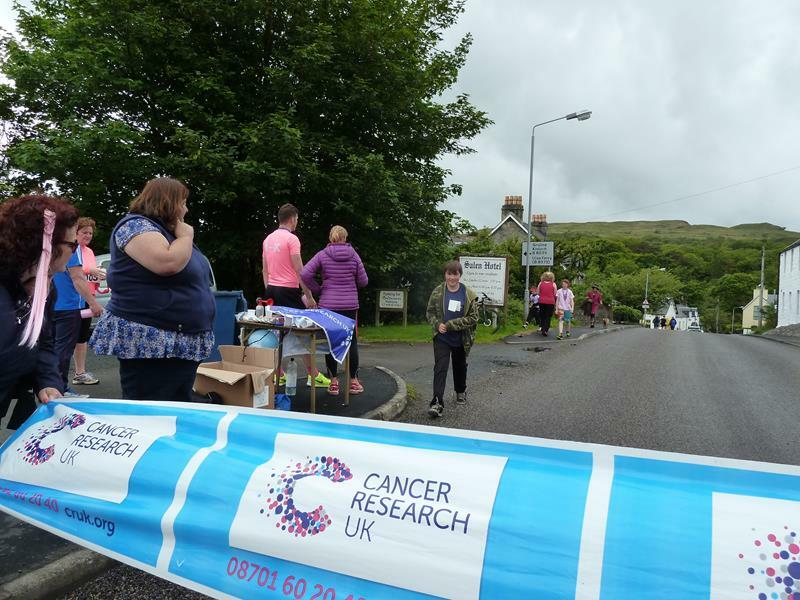 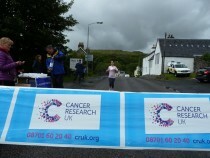 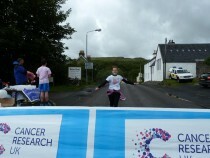 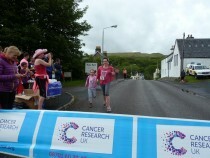 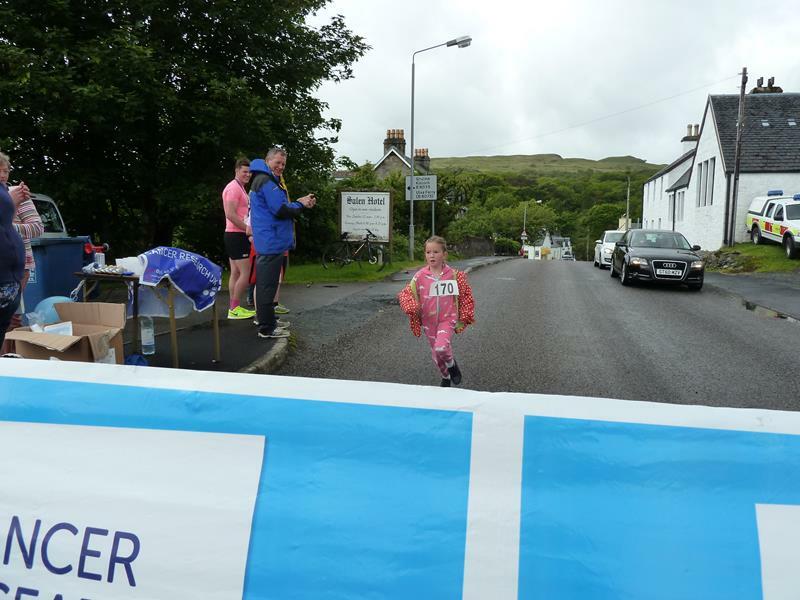 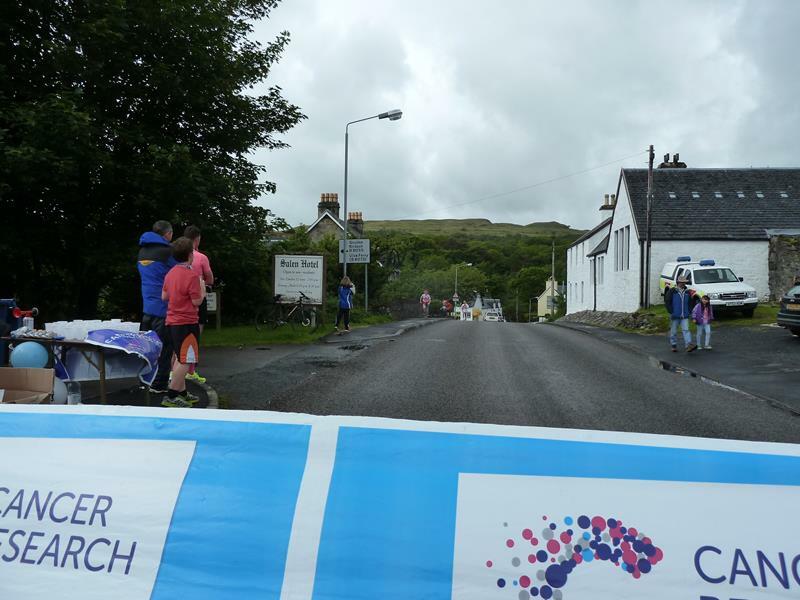 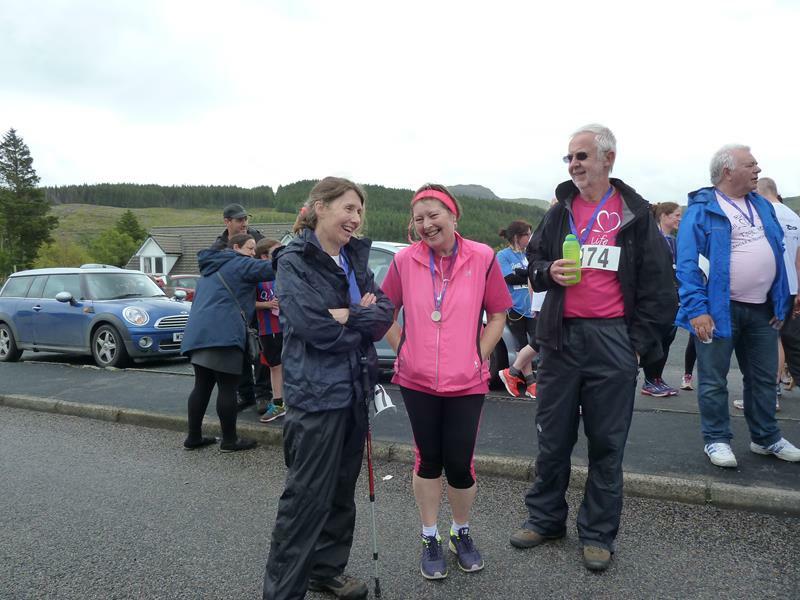 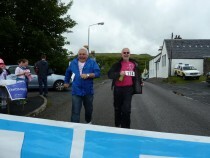 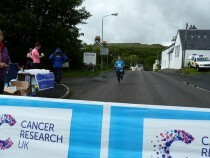 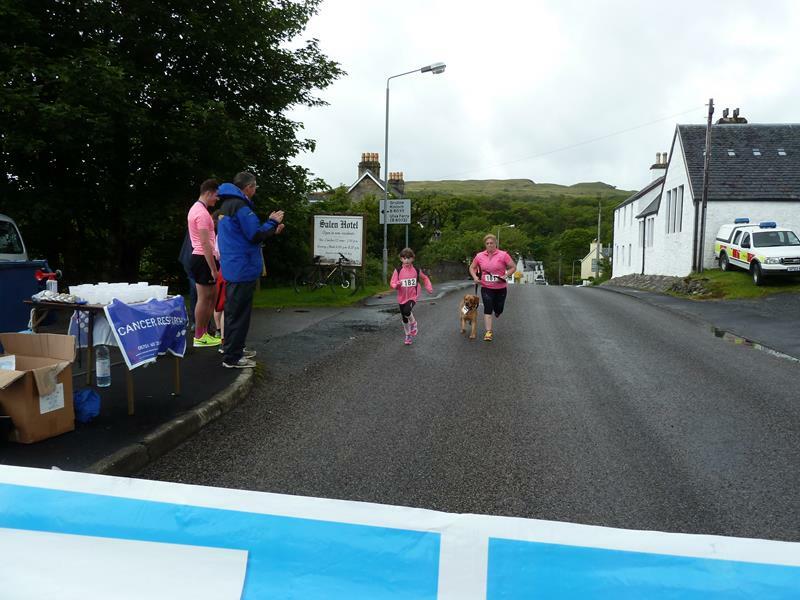 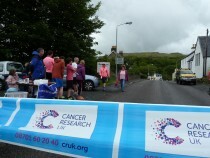 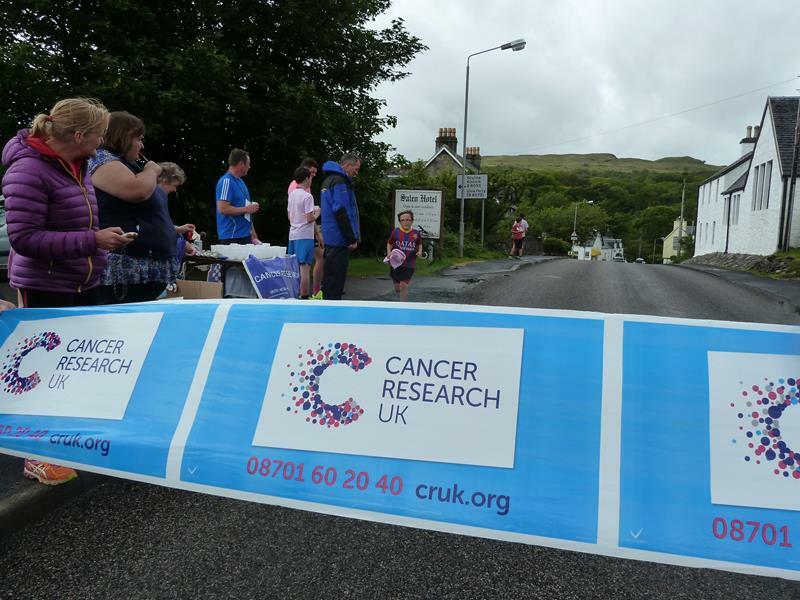 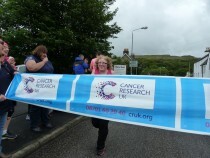 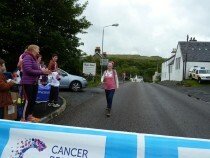 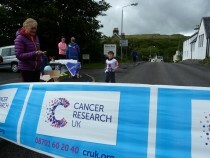 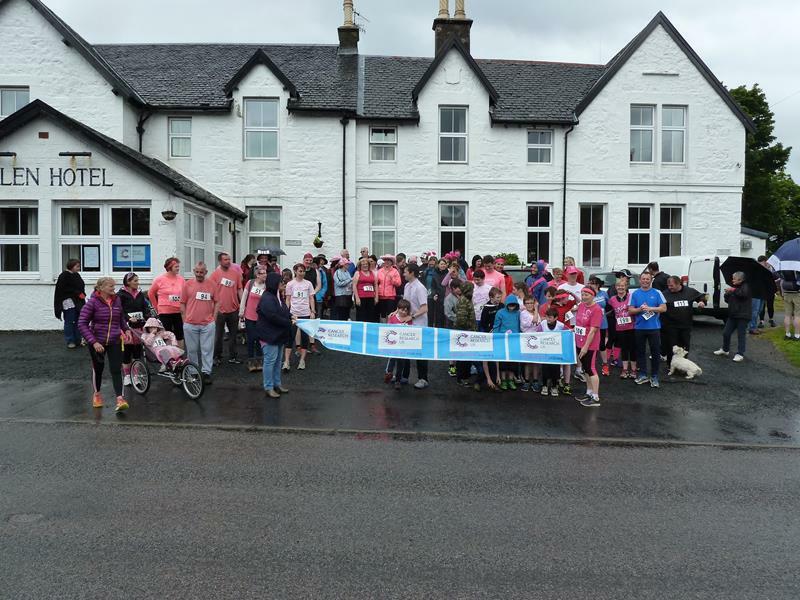 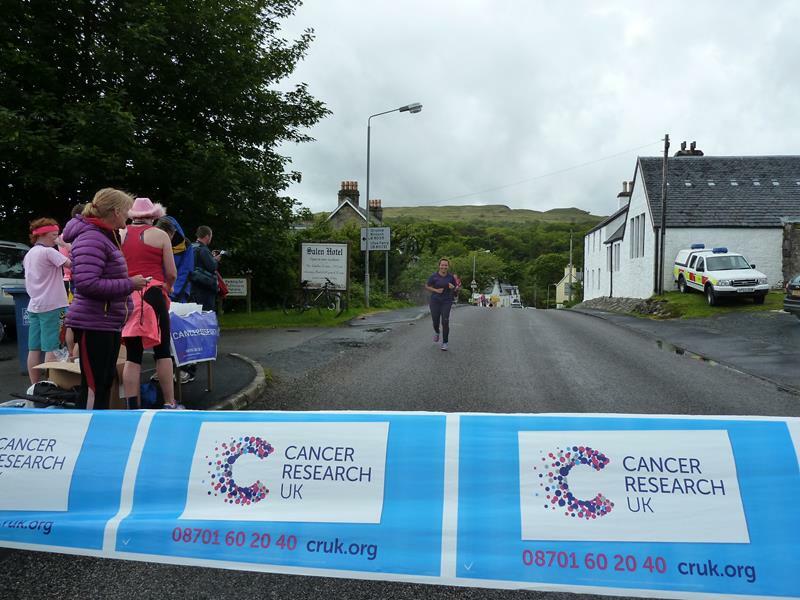 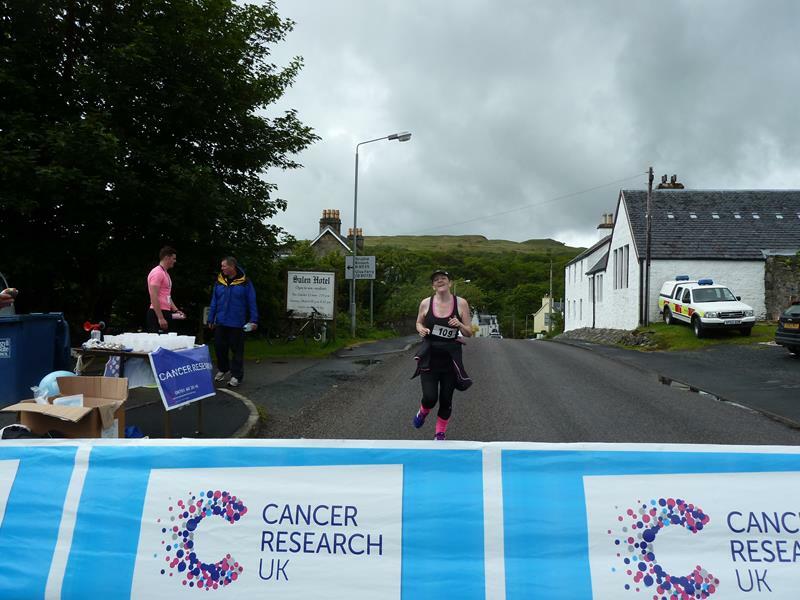 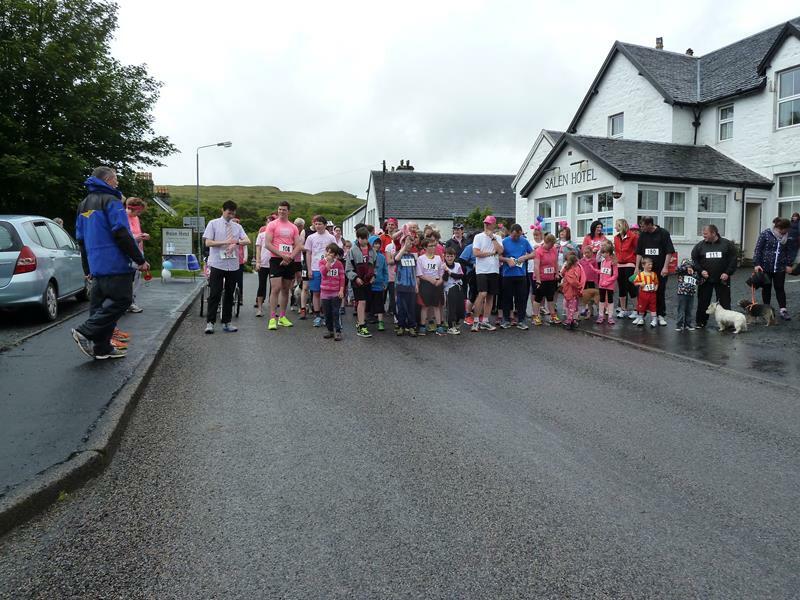 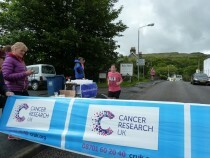 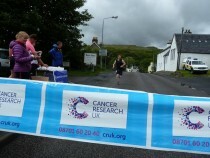 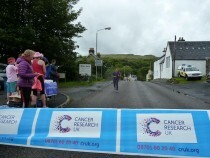 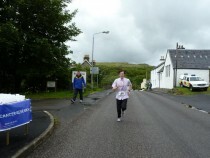 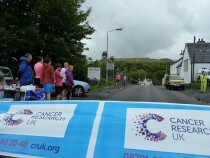 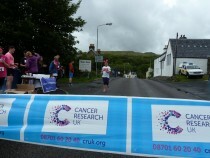 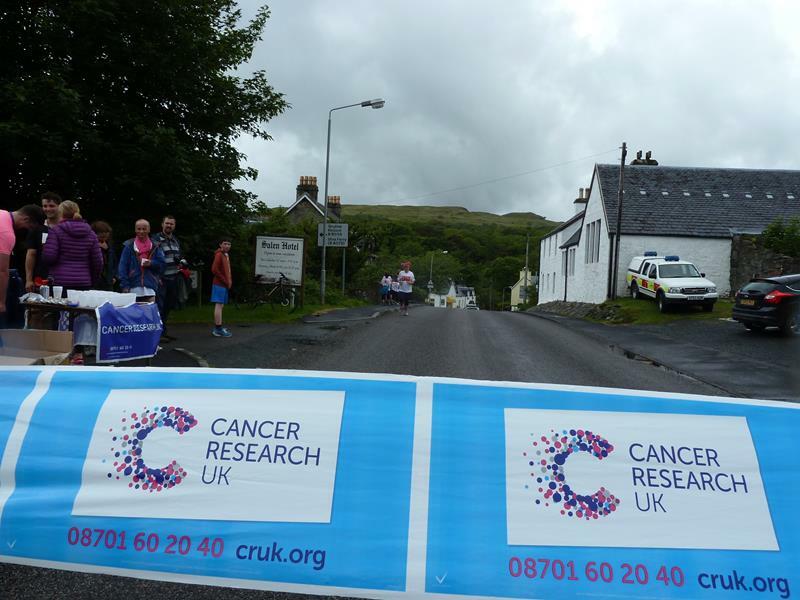 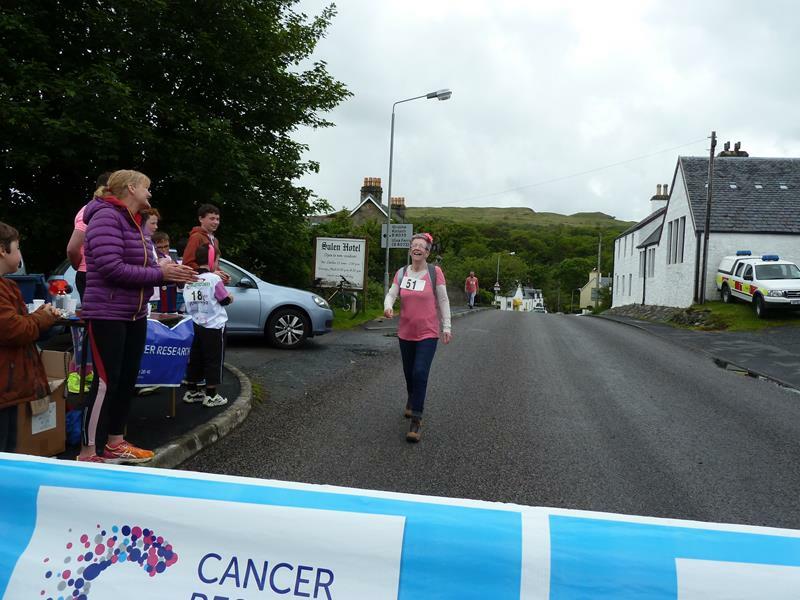 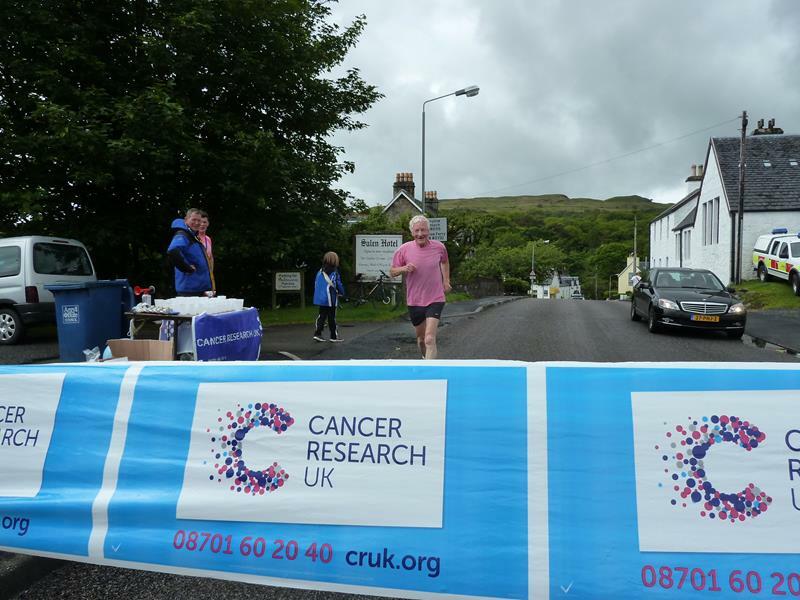 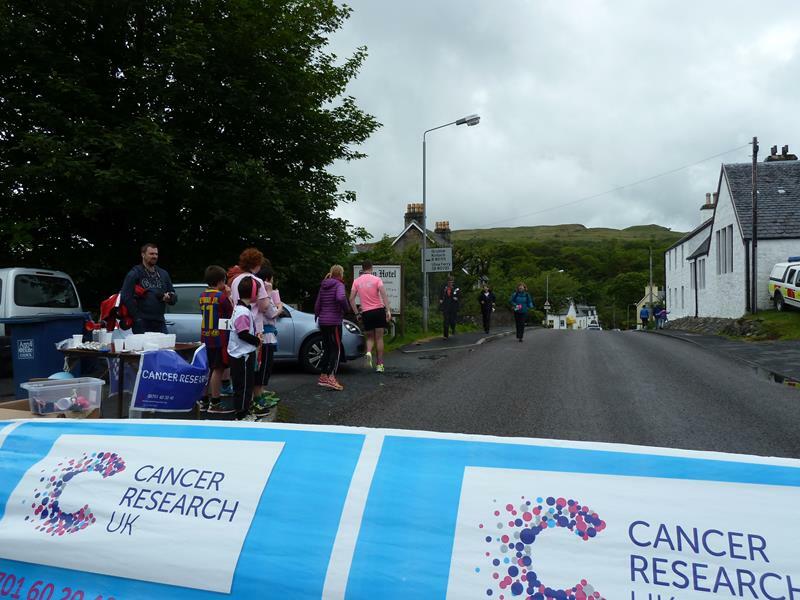 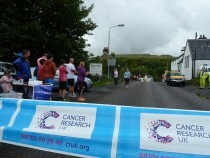 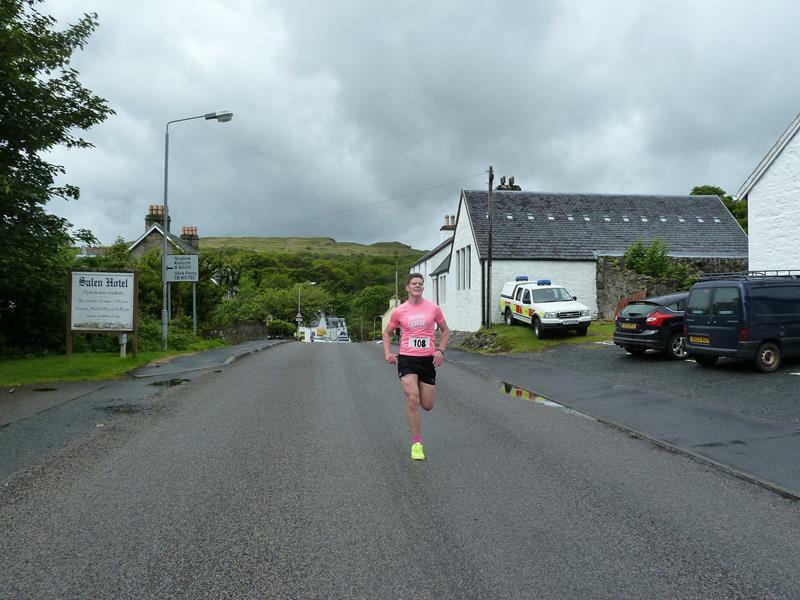 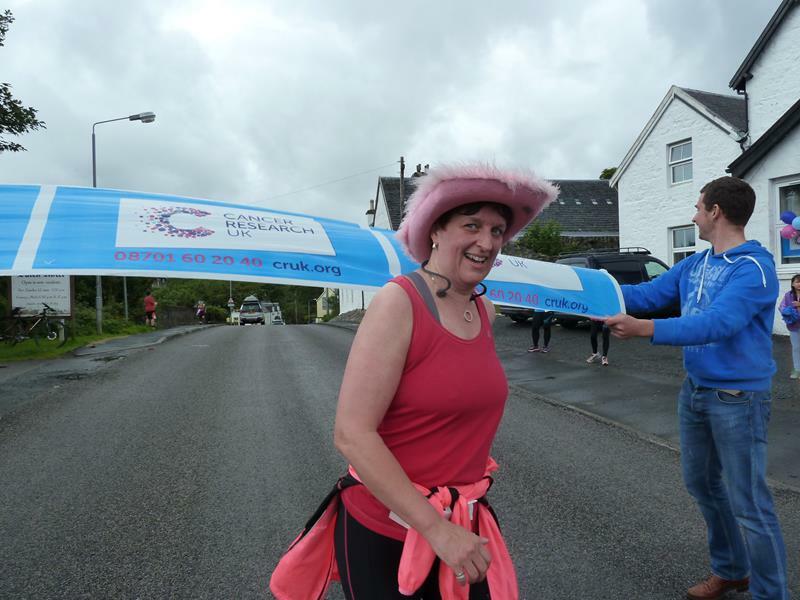 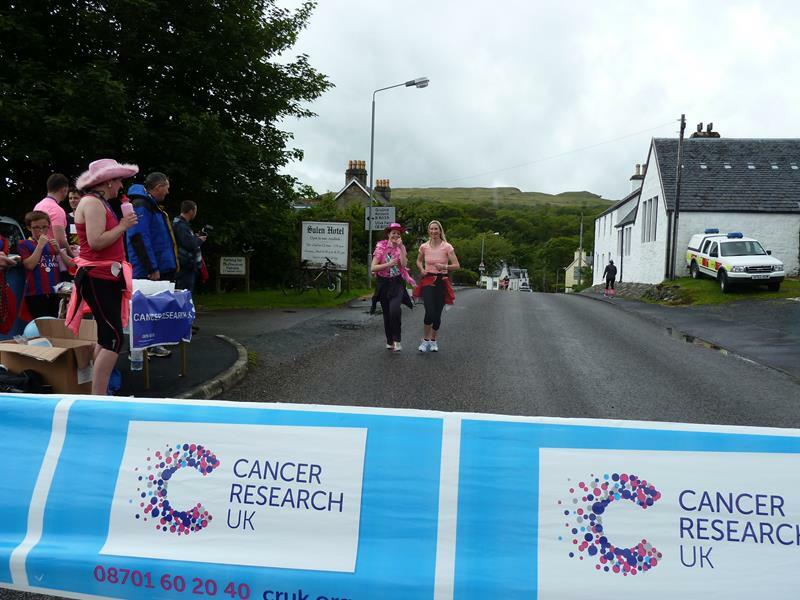 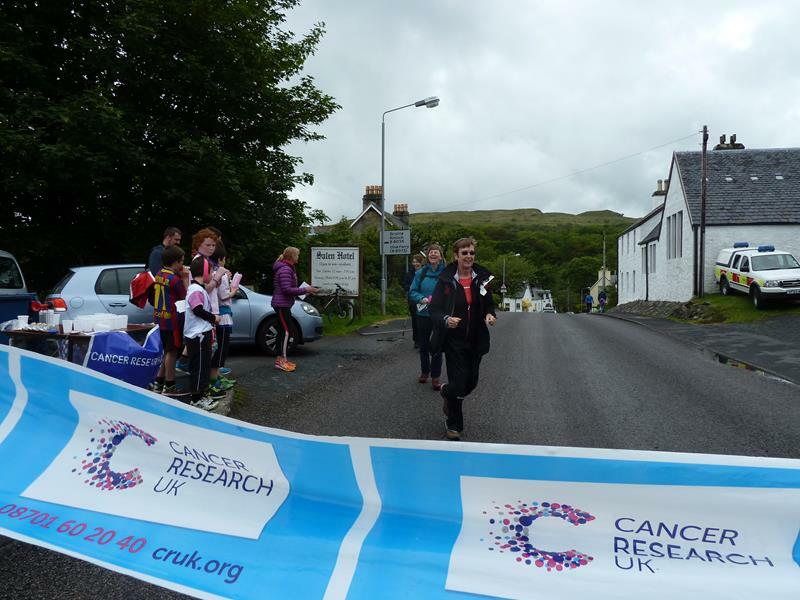 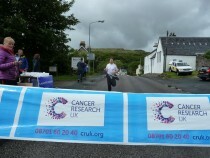 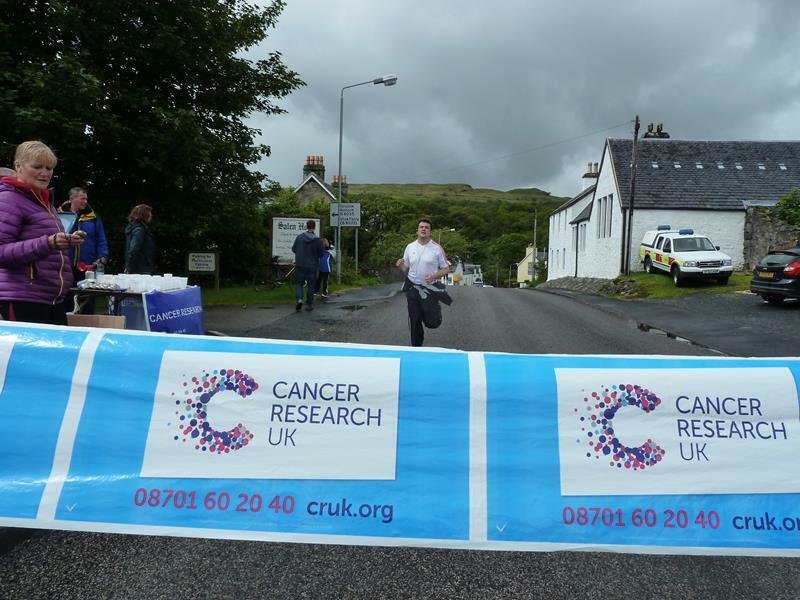 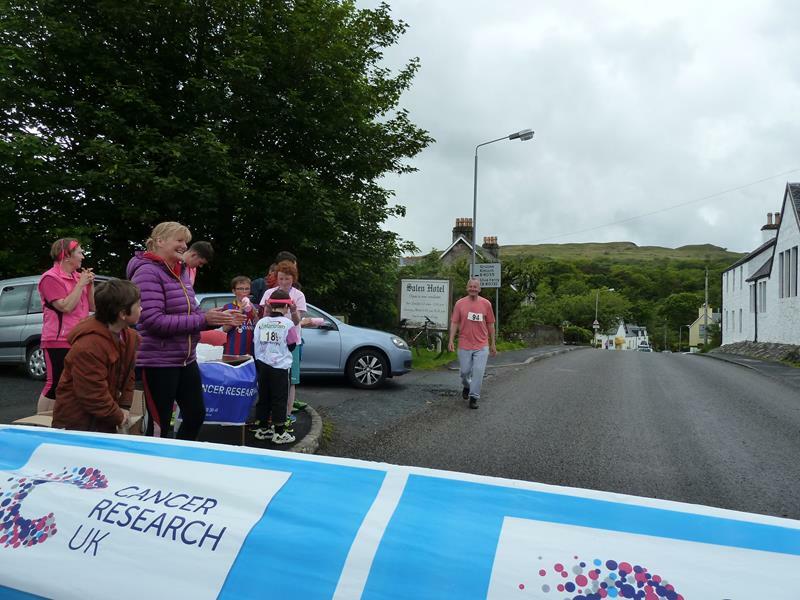 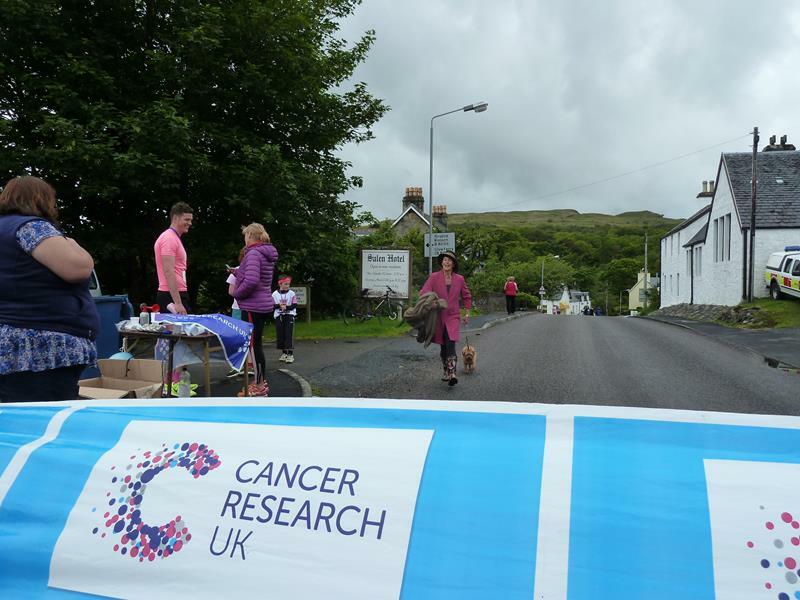 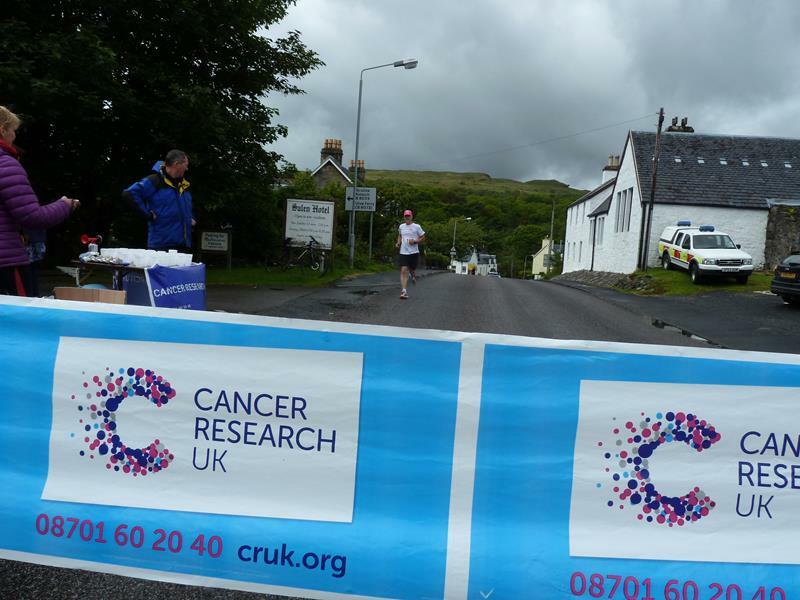 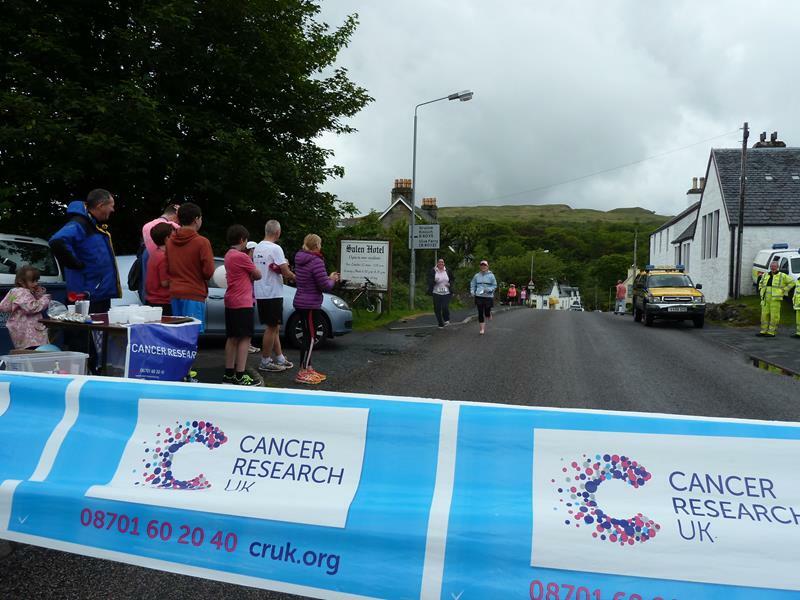 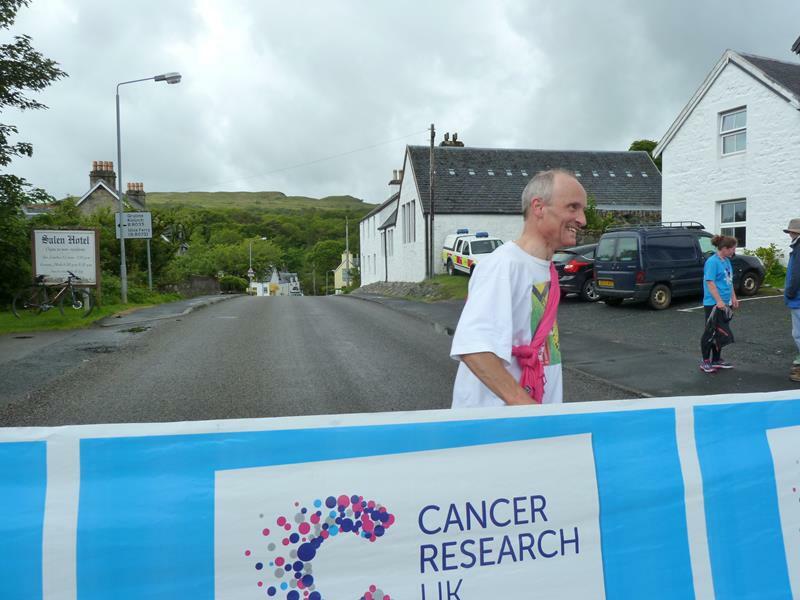 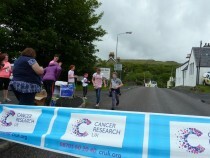 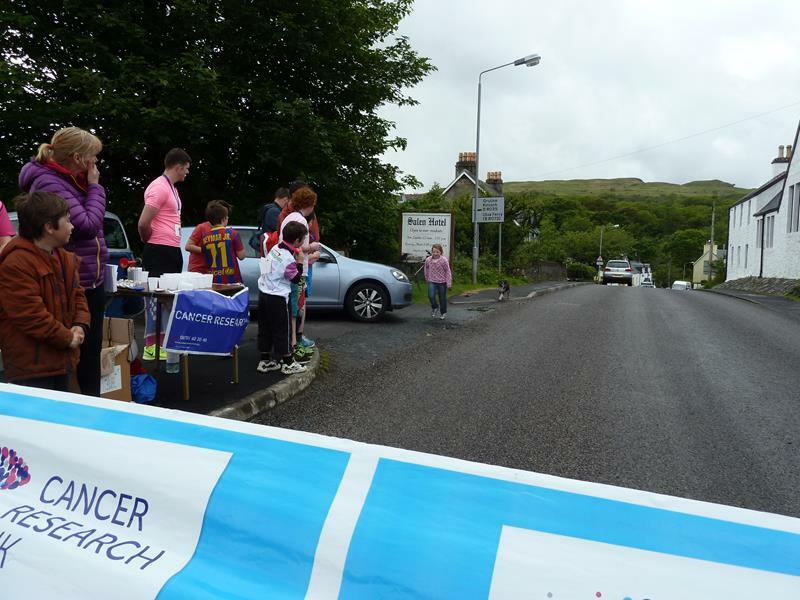 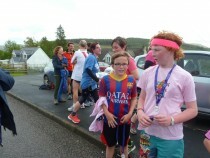 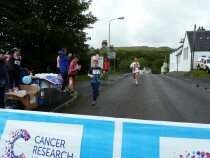 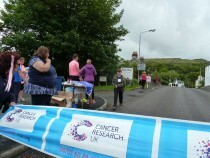 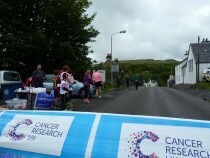 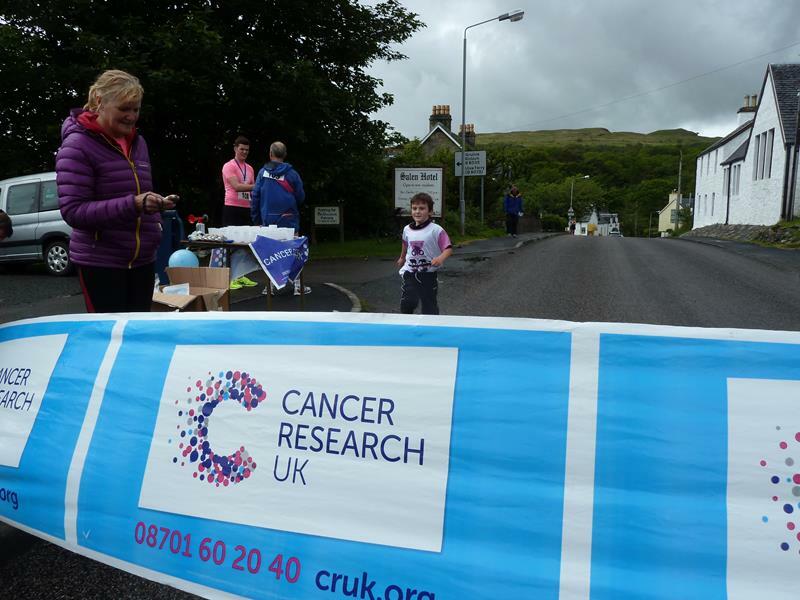 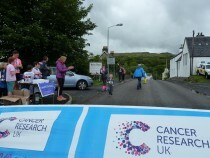 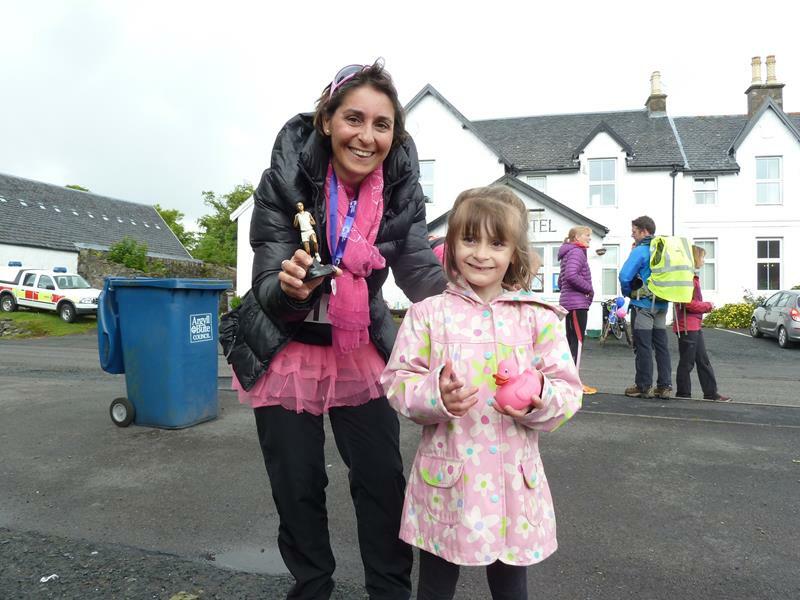 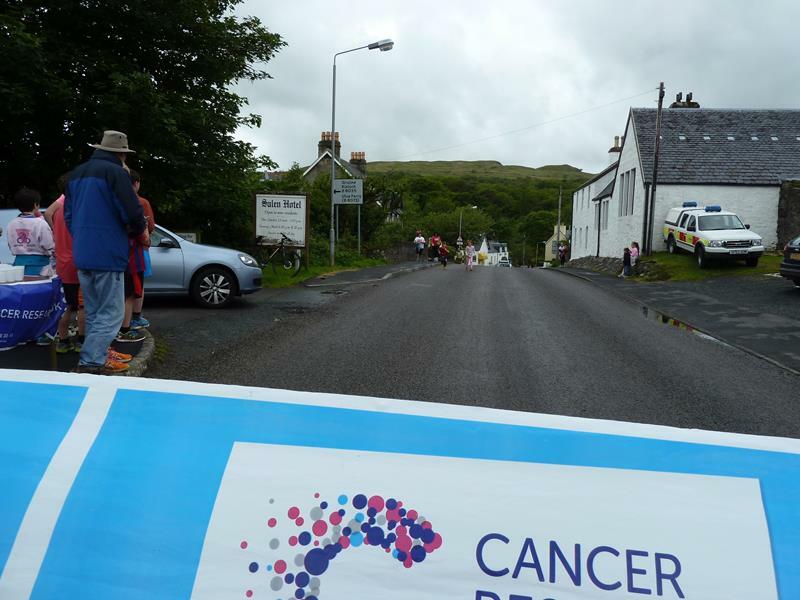 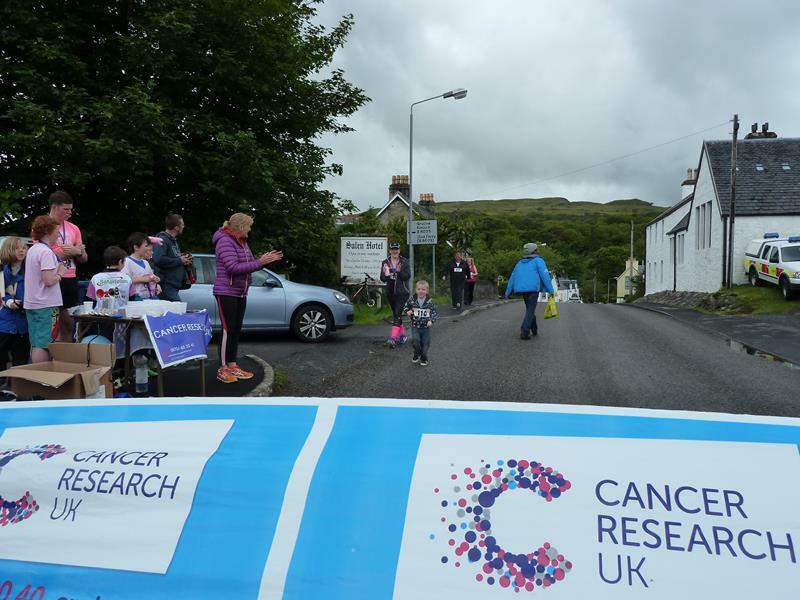 There was a fantastic turnout of runners and walkers for our annual Pink Run Race for Life for Cancer Research, starting at the Salen Hotel today. 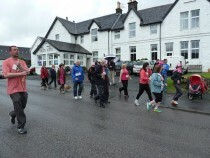 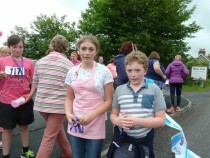 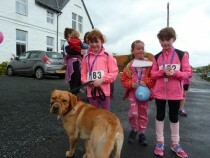 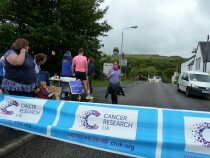 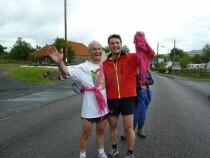 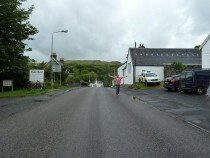 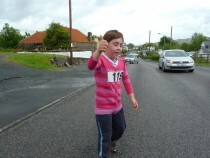 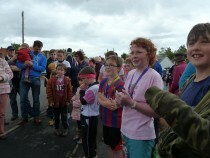 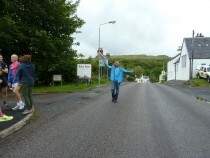 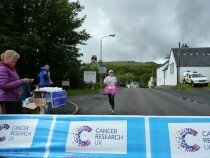 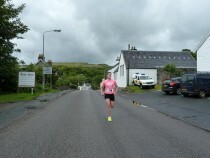 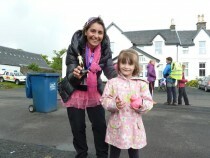 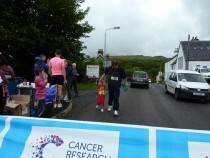 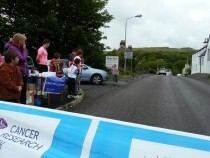 The weather didn’t look too promising, but it didn’t deter anyone, and the pink outfits were to be commended. 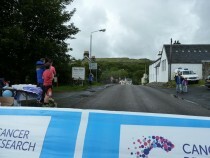 The rain held off for us to get some great views form the top of the hill. 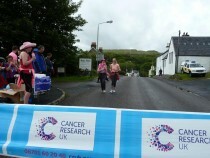 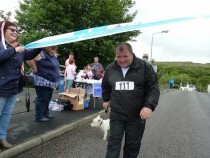 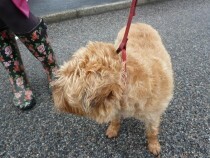 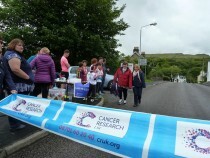 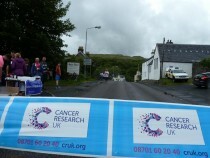 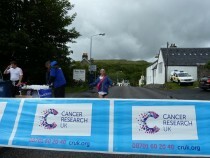 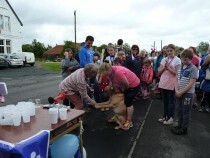 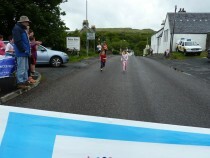 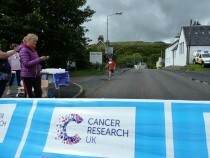 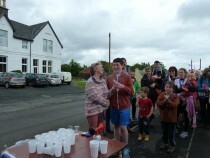 We raised £725 today, including online donations of £110, and the Clydesdale Bank Bucket of £101.14. 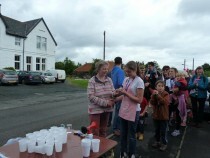 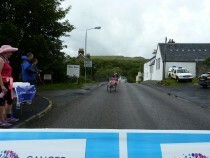 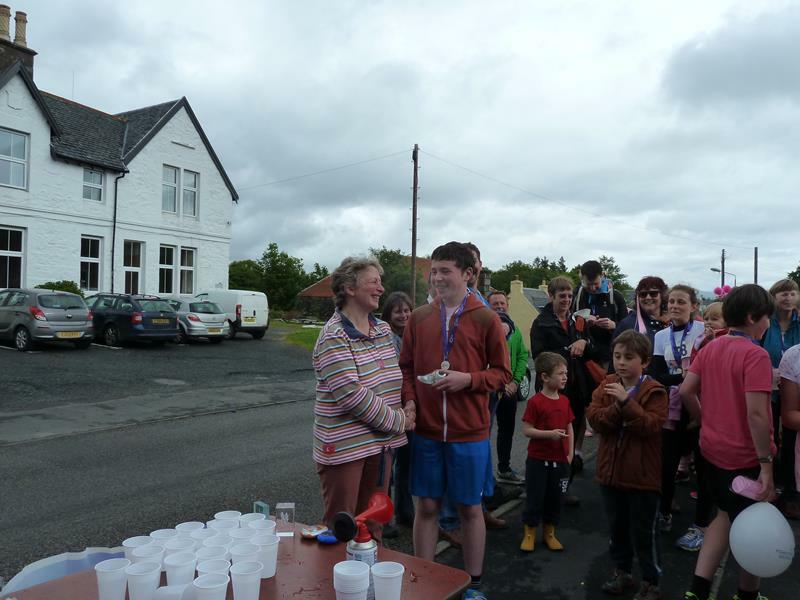 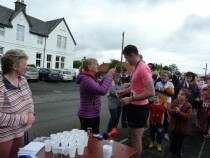 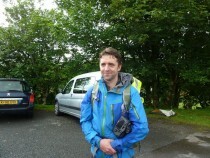 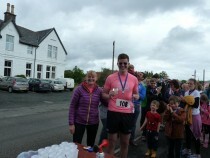 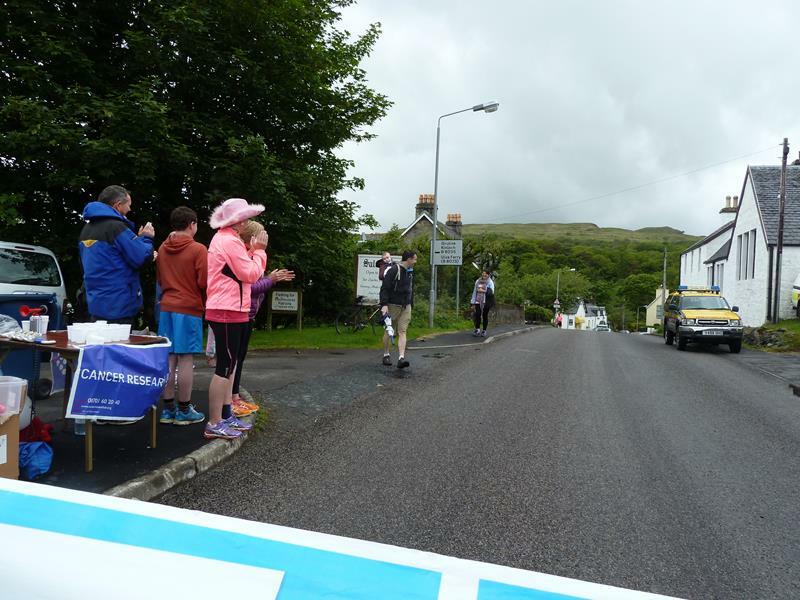 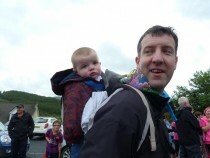 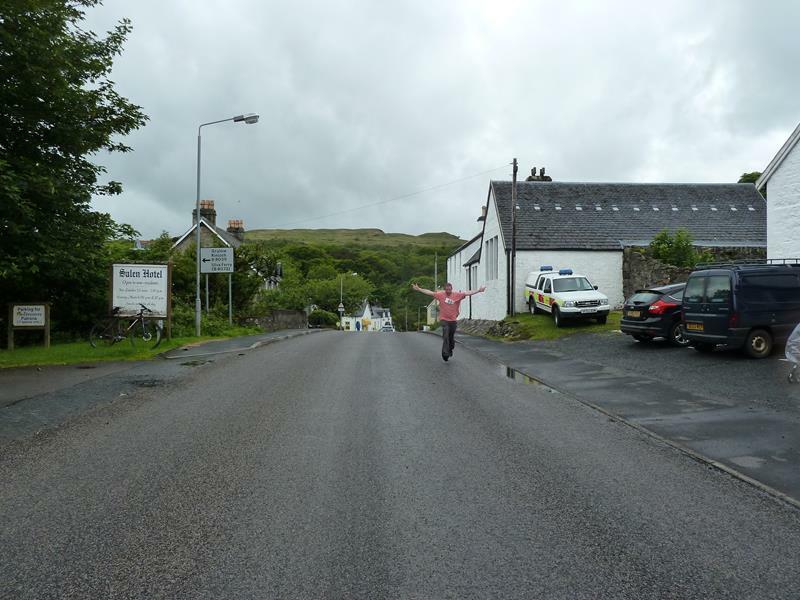 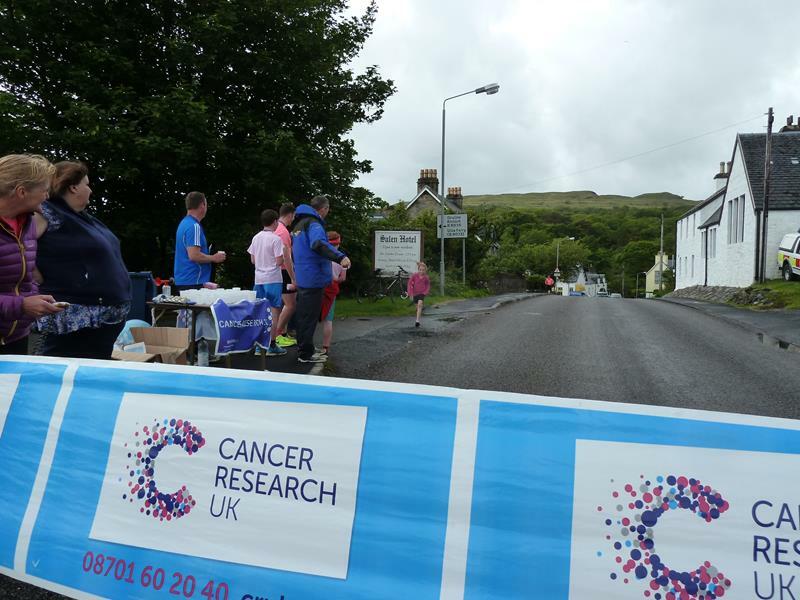 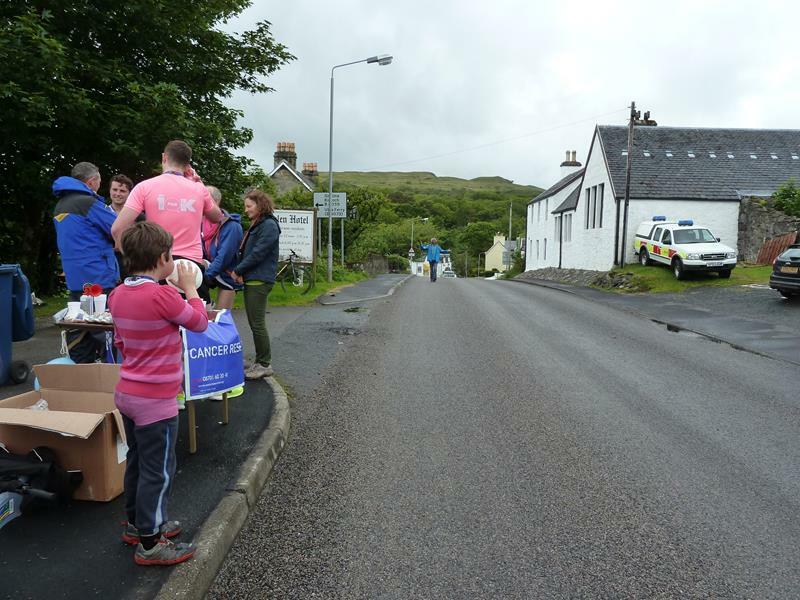 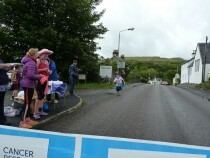 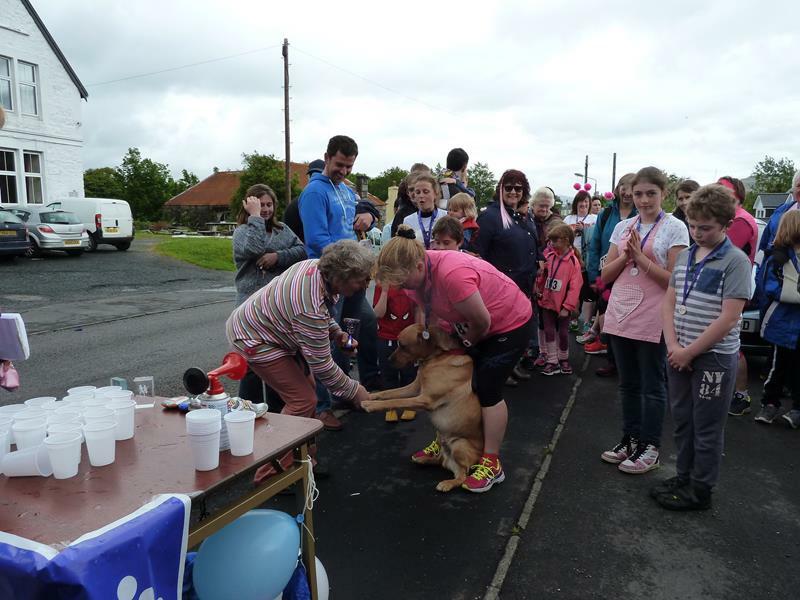 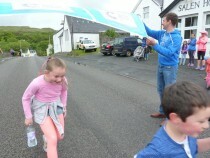 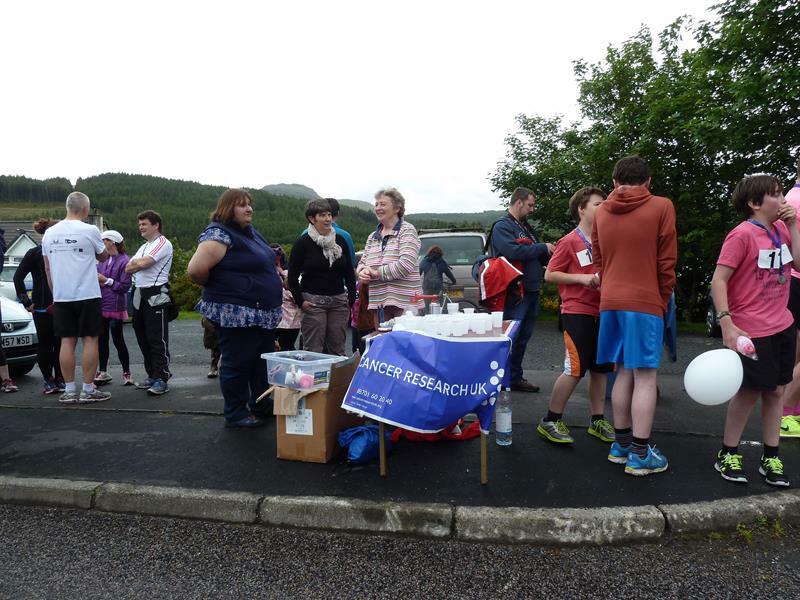 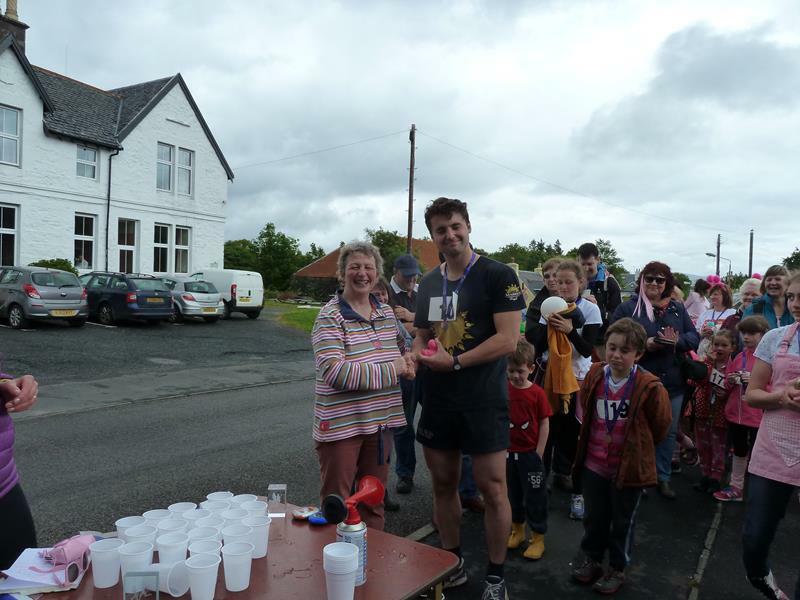 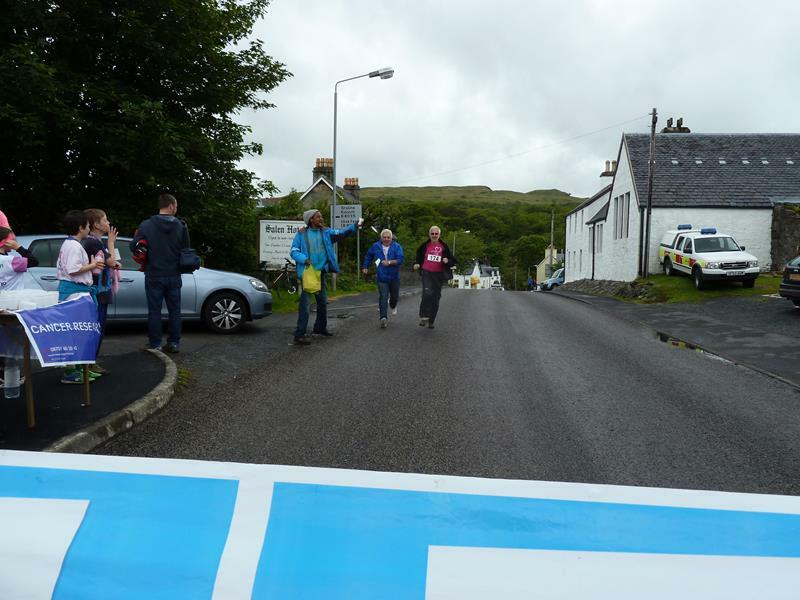 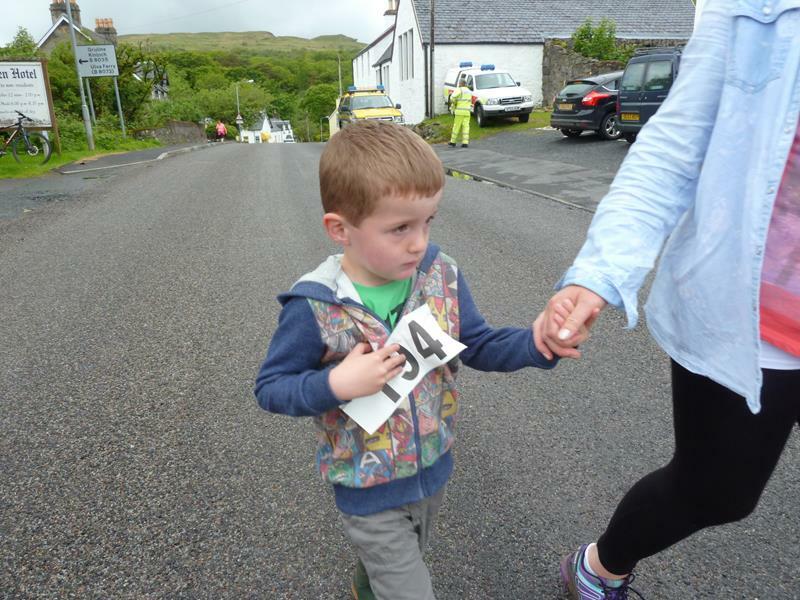 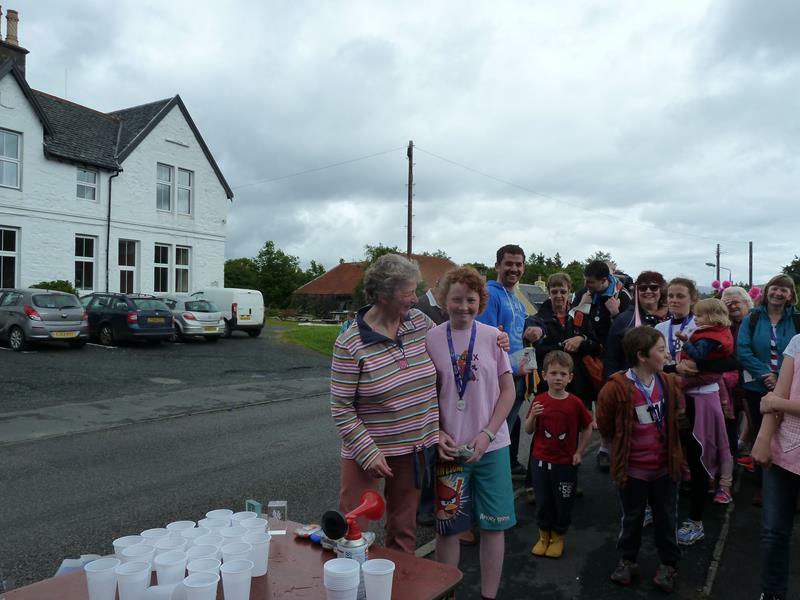 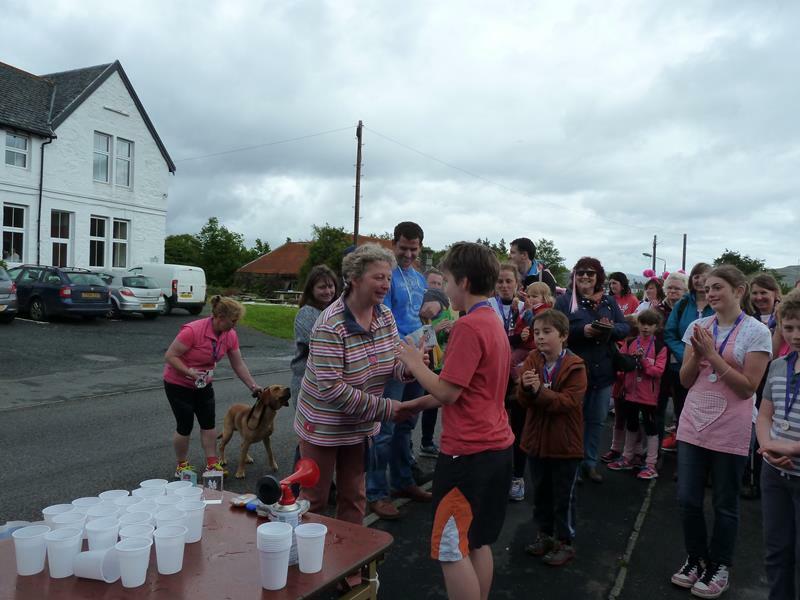 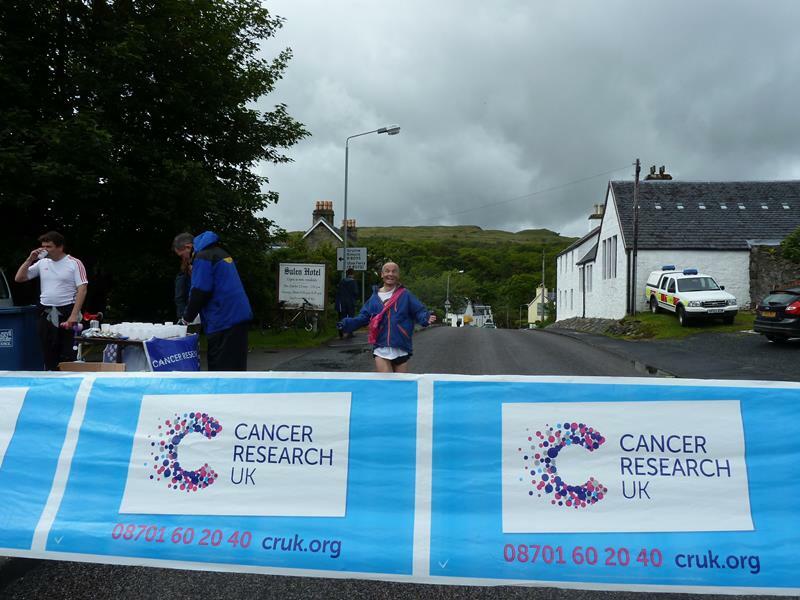 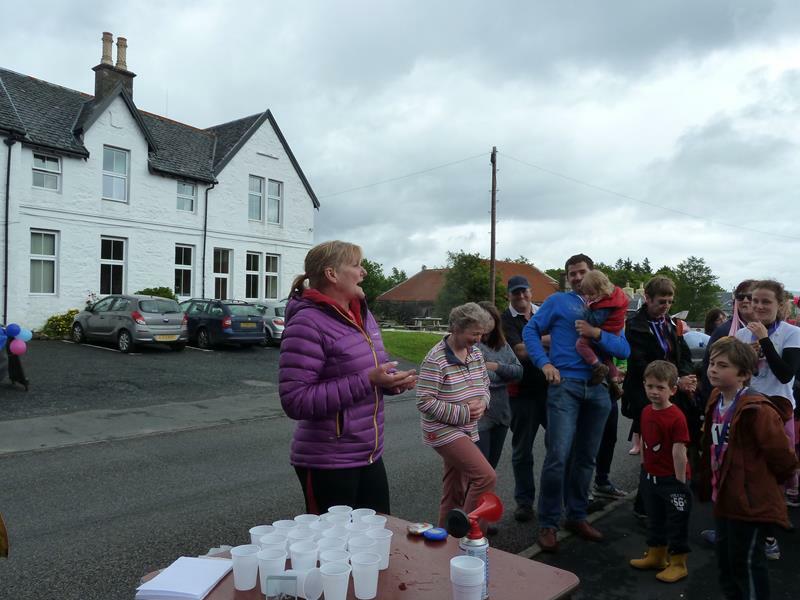 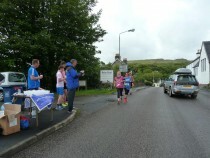 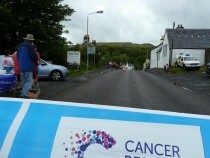 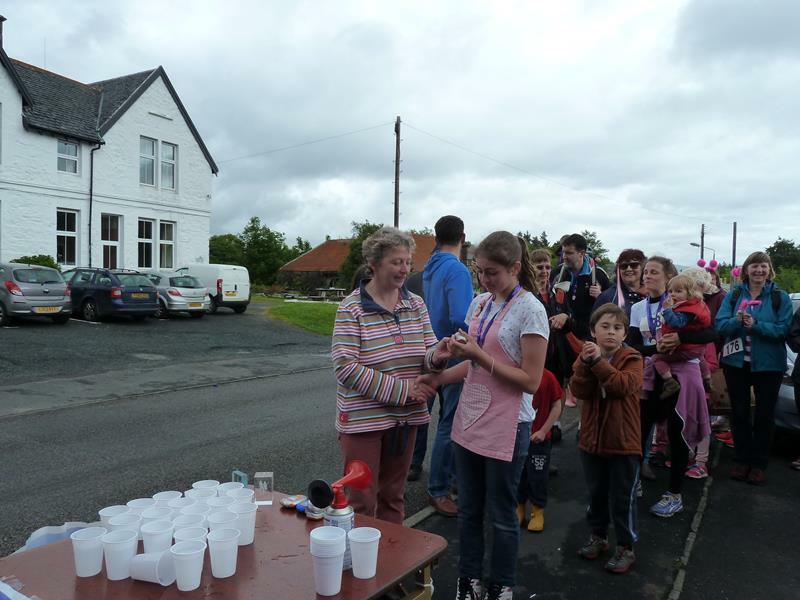 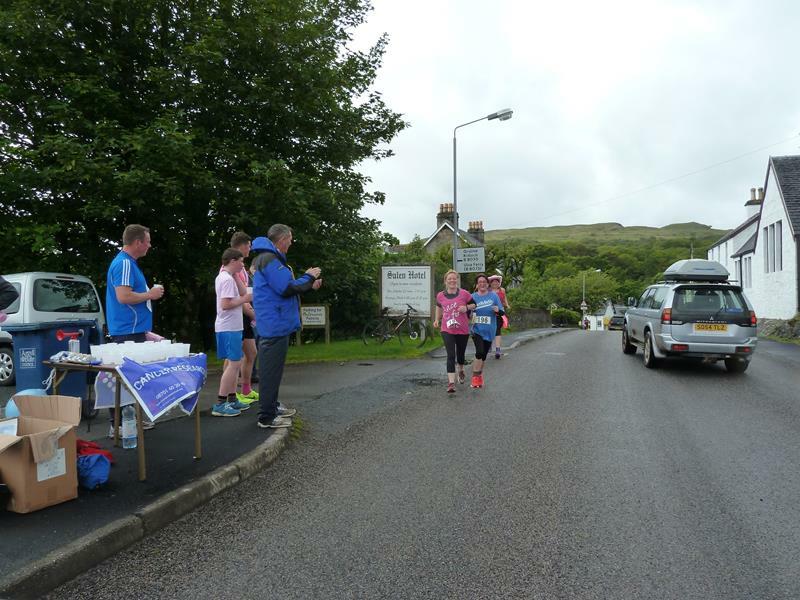 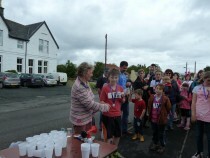 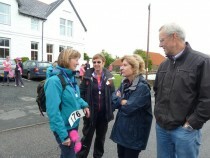 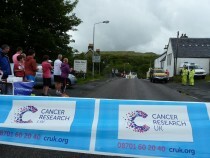 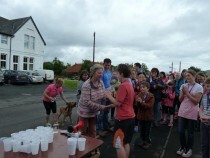 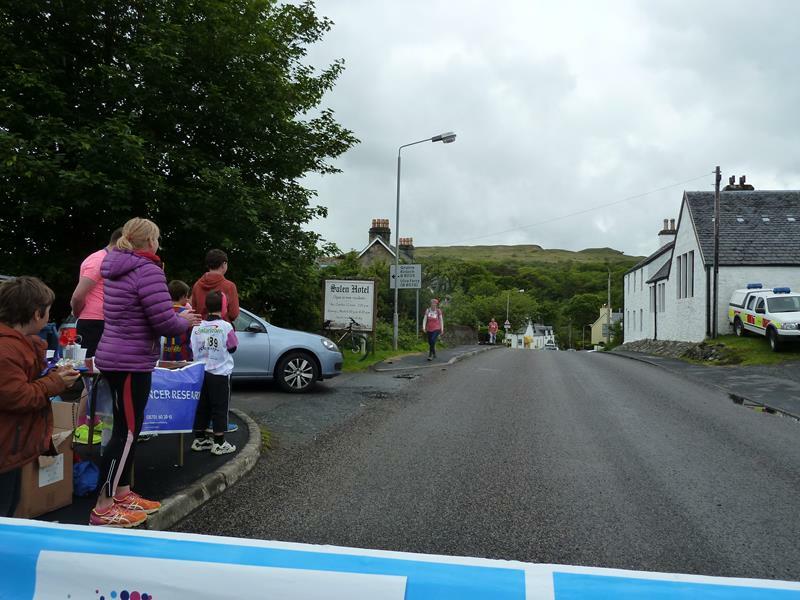 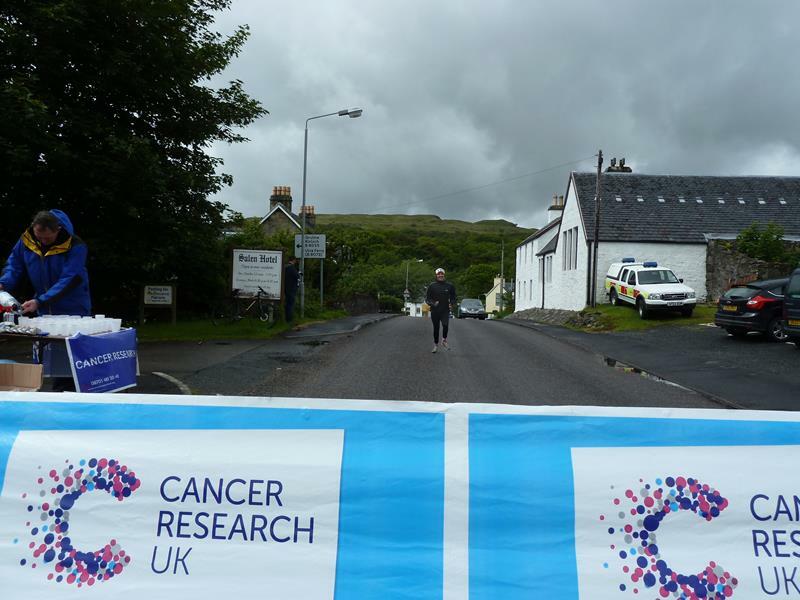 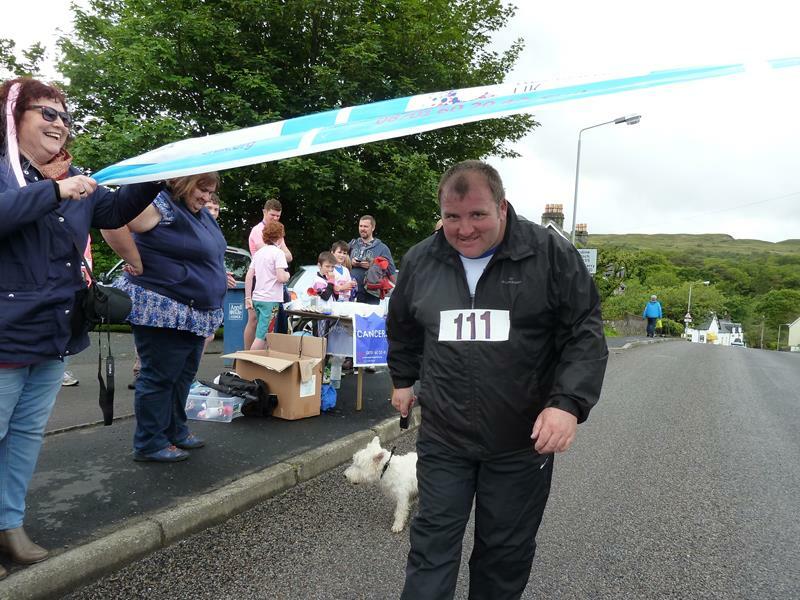 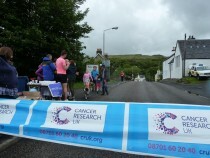 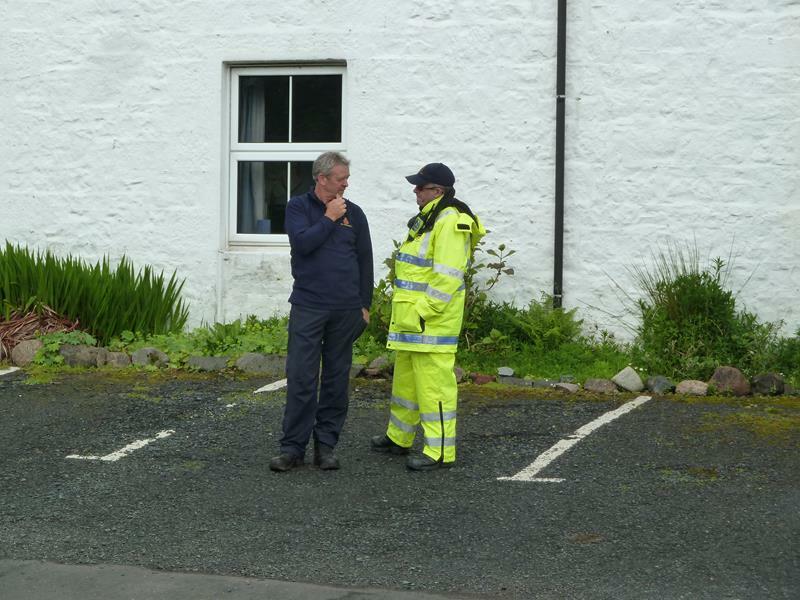 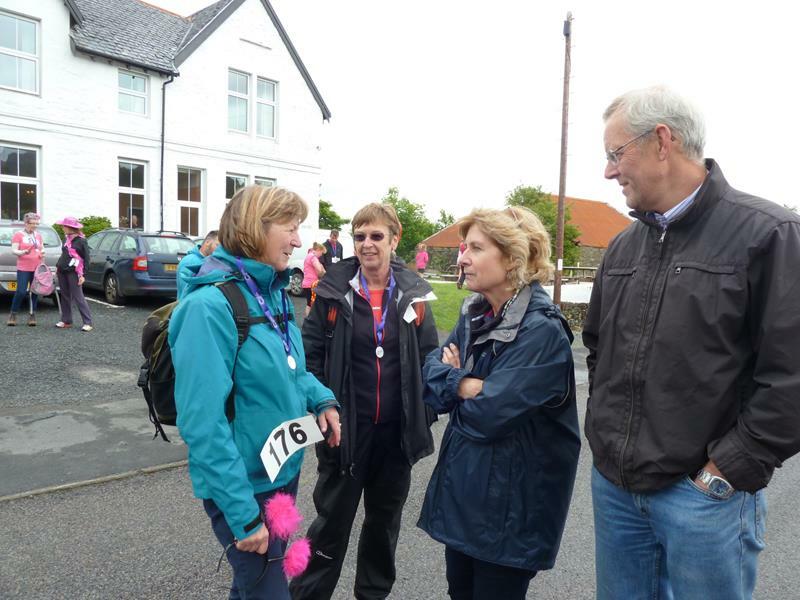 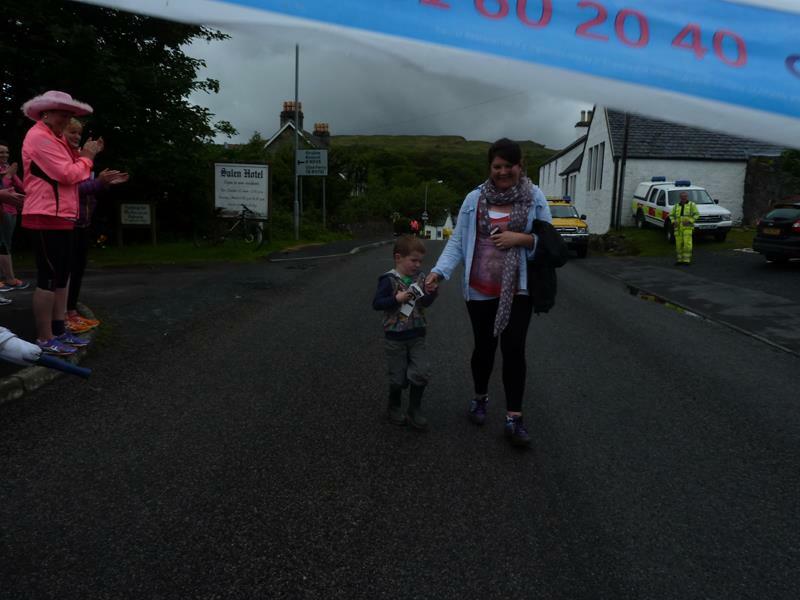 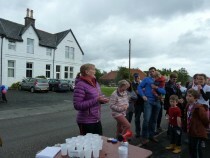 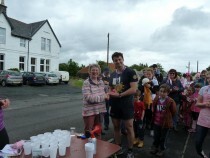 Thanks to all the helpers – Andrew and the Coastguard crew in their very high viz outfits, Richard Kellett for First Aid, Gillian Wilshire for water stops and the Salen Hotel for hosting the event. First person over the line was Kieran Whyte, second was John Coyle, followed by first lady was Jena Maskova congratulations to all and thanks for supporting the event.